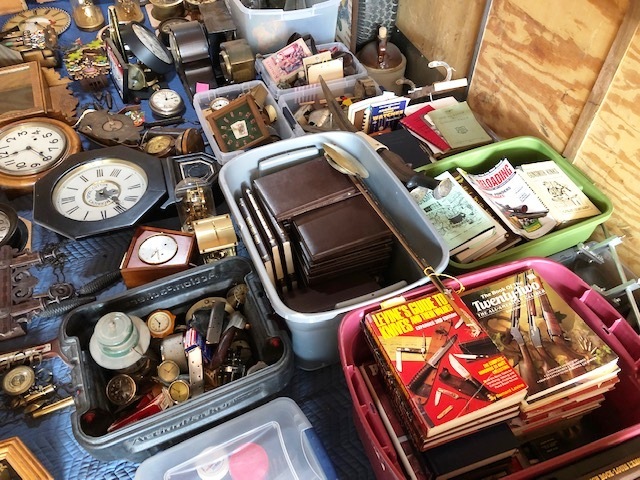 Directions: I84 Exit 44, S. on Meridian Rd./HWY 69, Turns W. becomes Avalon, S. on Swan Falls, E. on Stagecoach Rd. 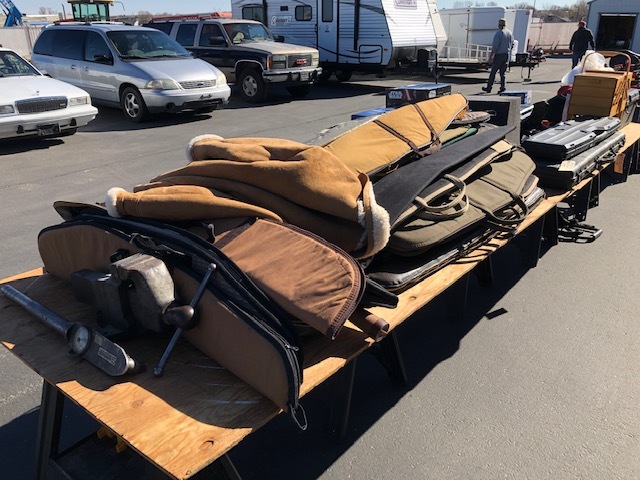 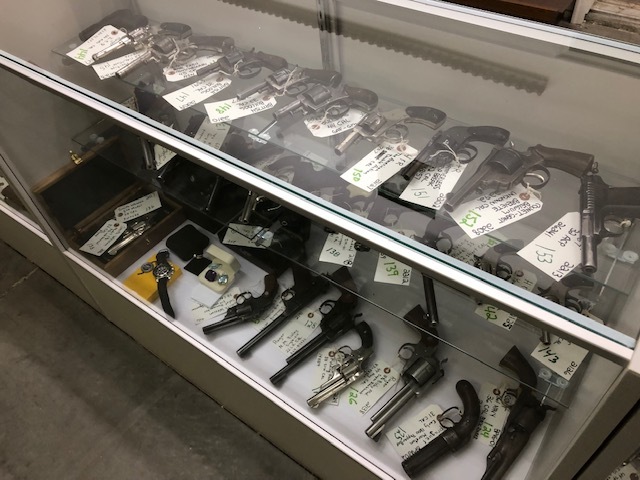 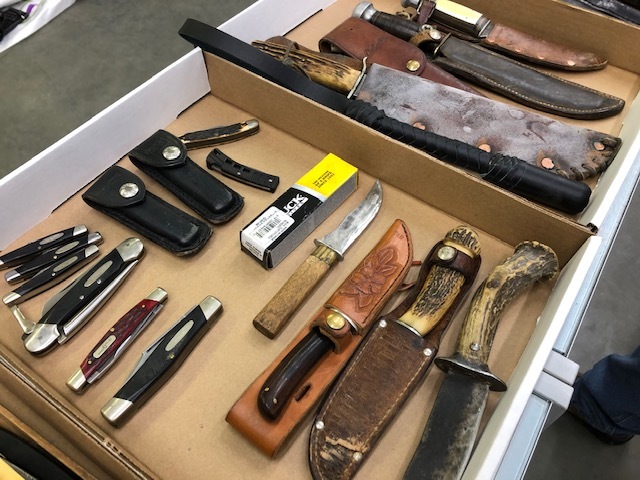 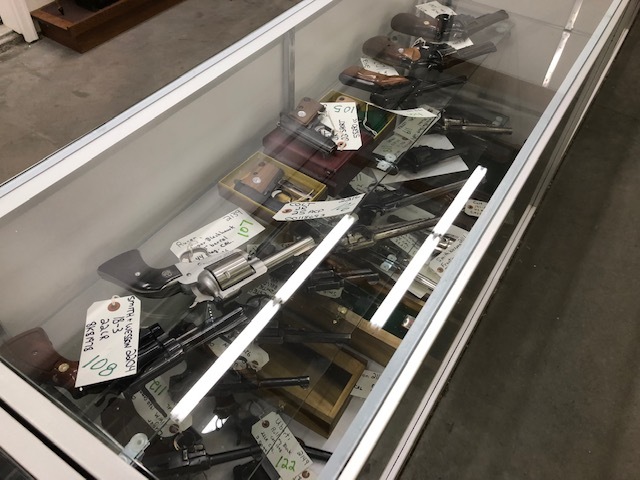 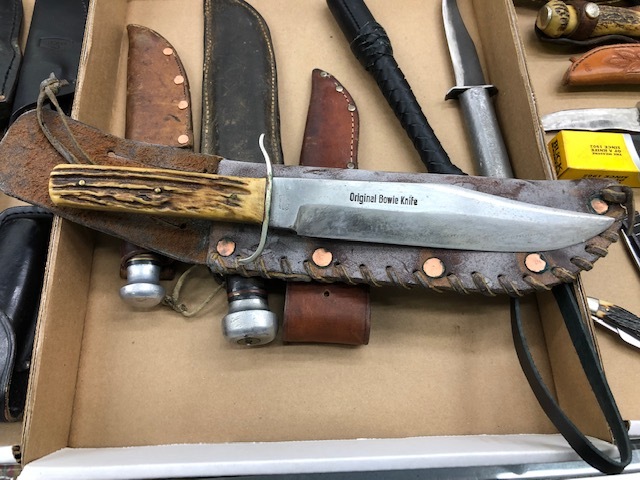 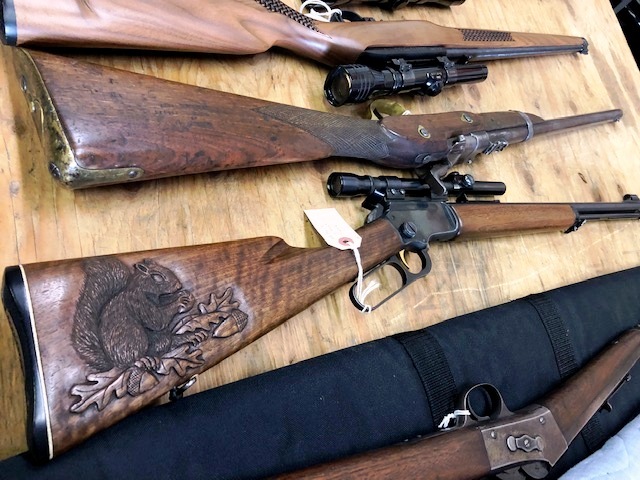 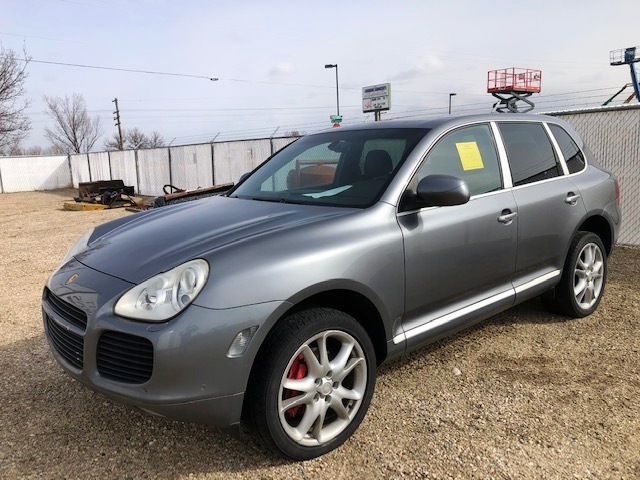 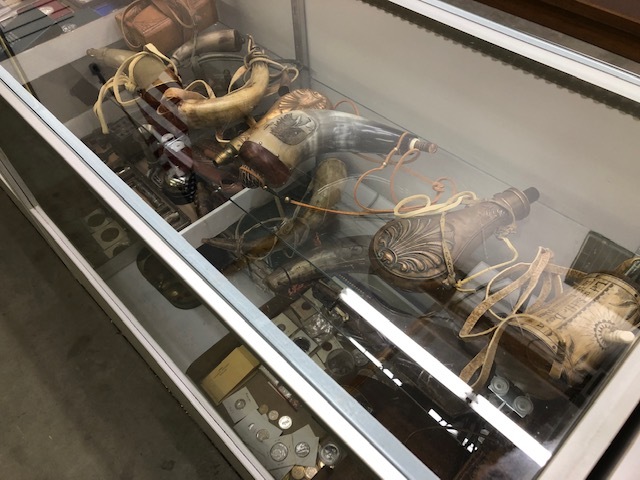 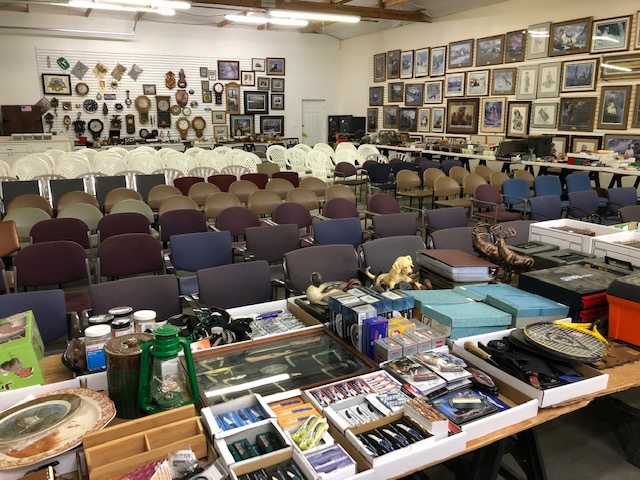 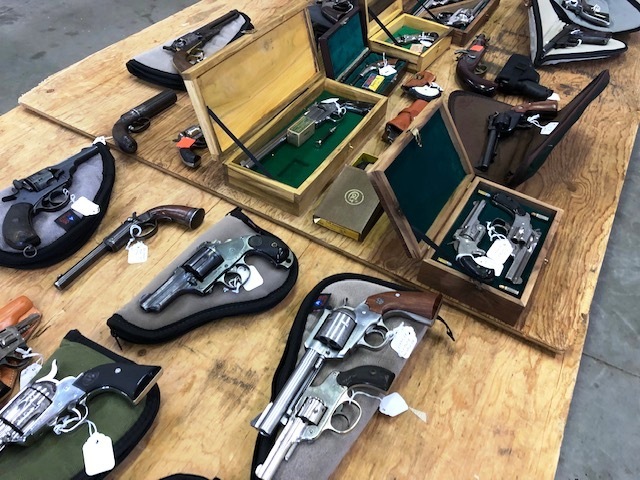 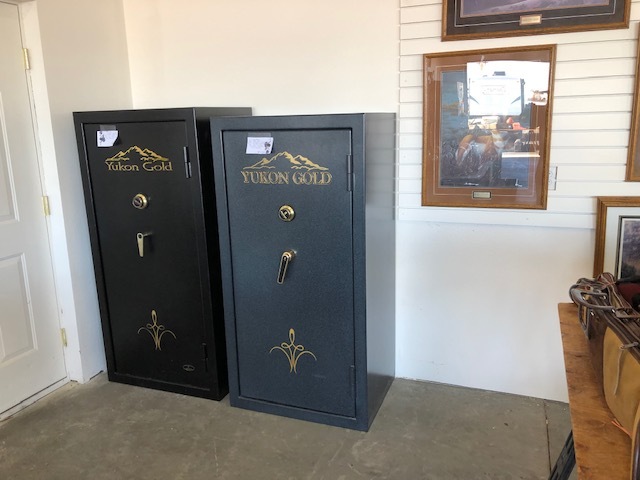 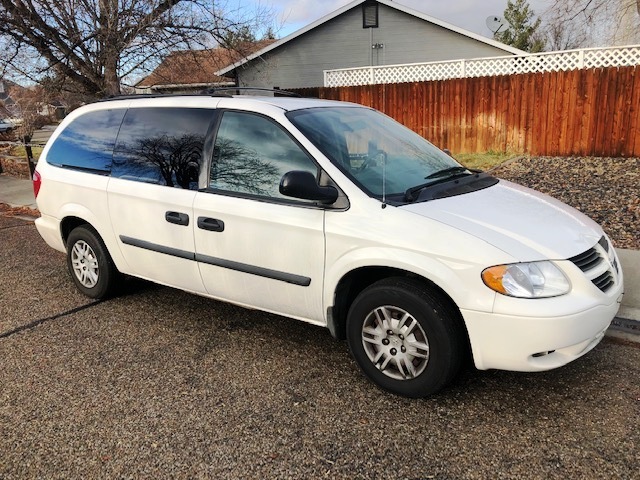 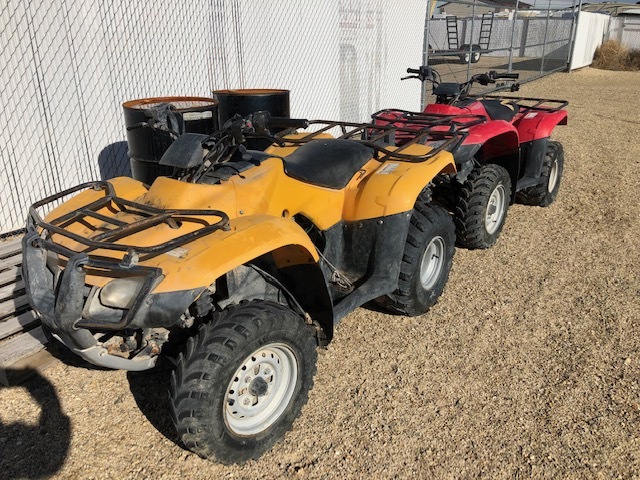 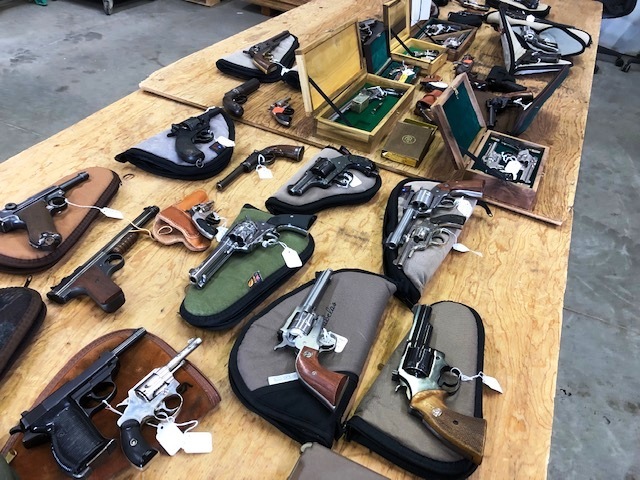 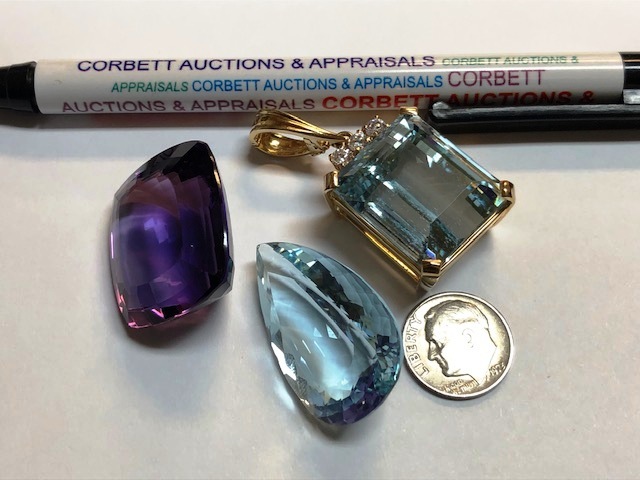 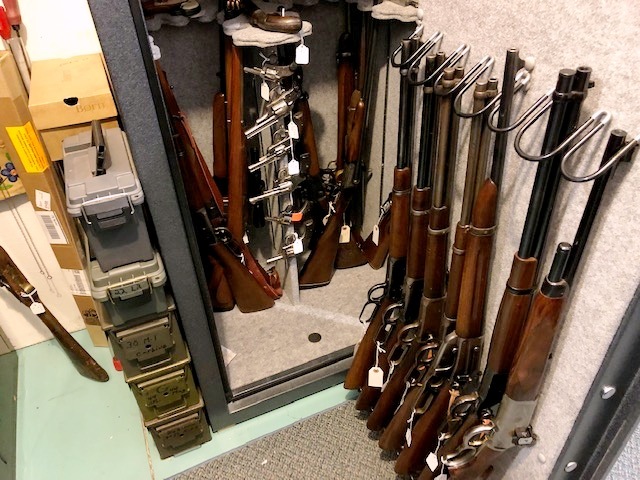 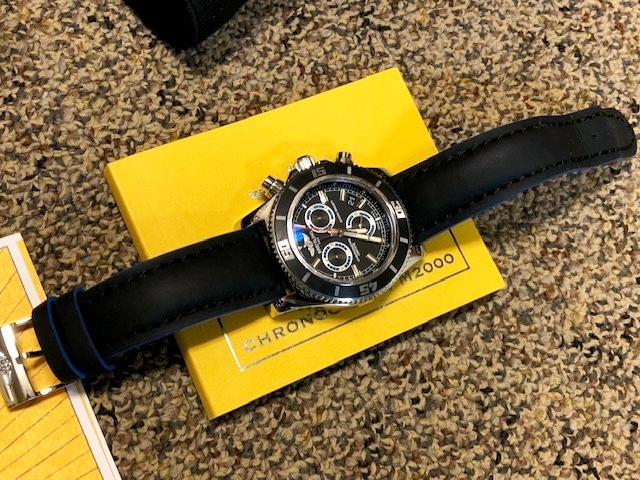 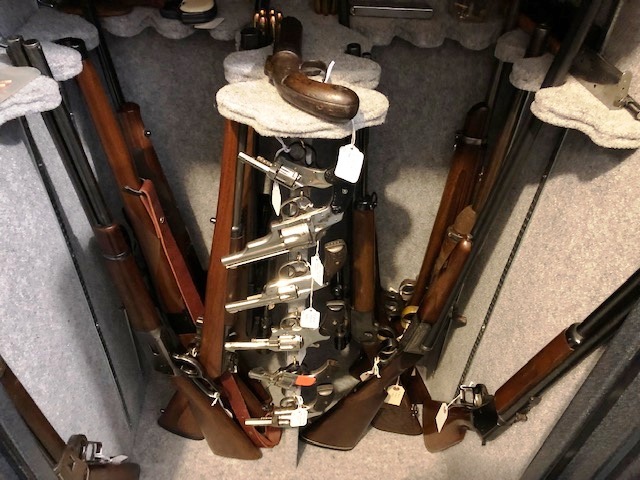 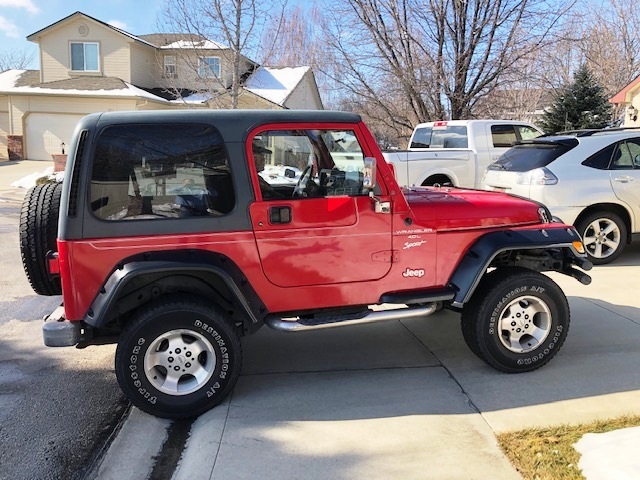 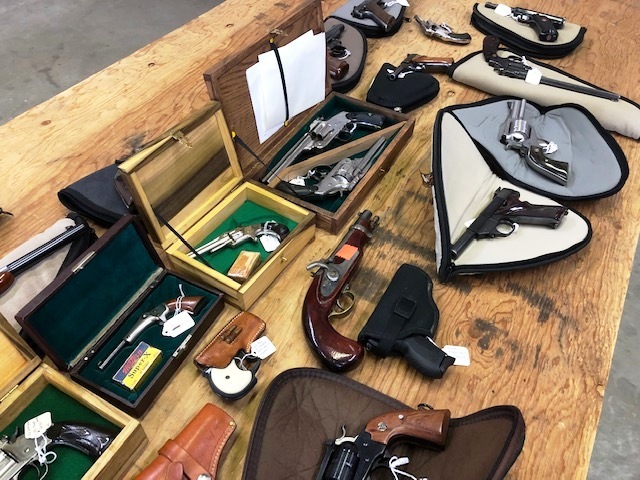 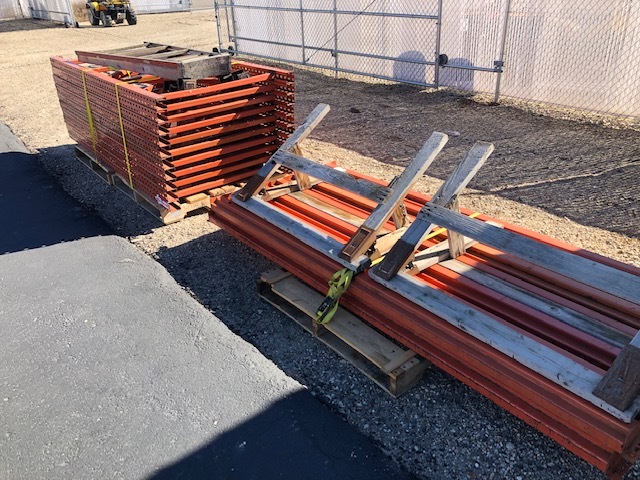 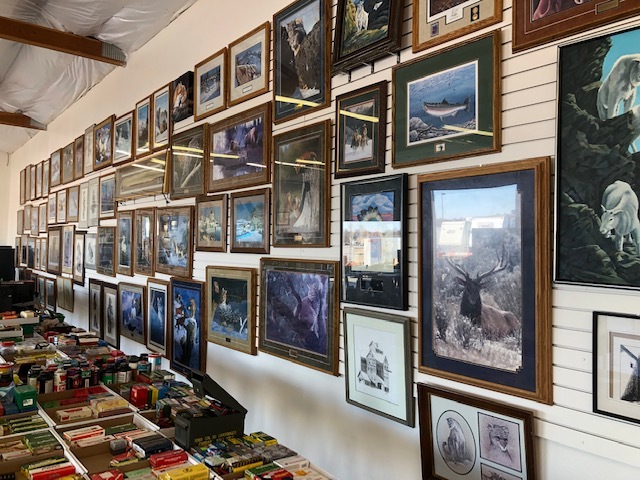 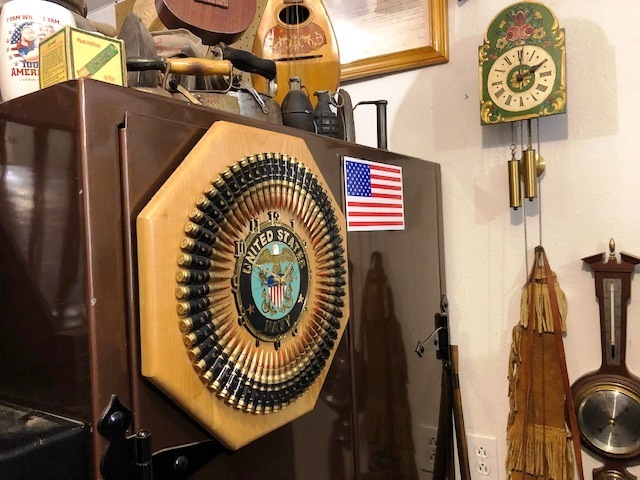 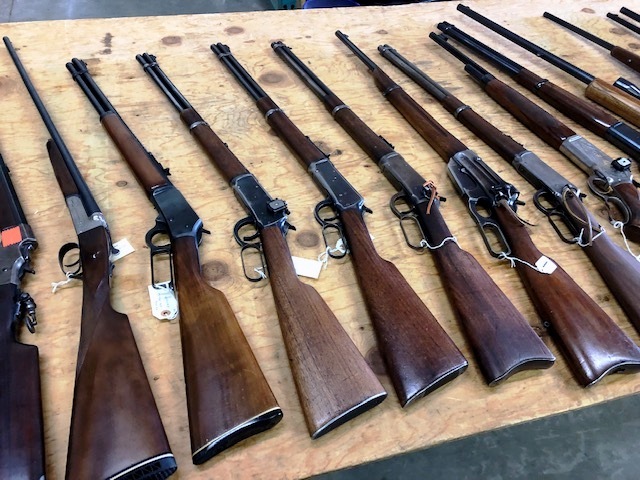 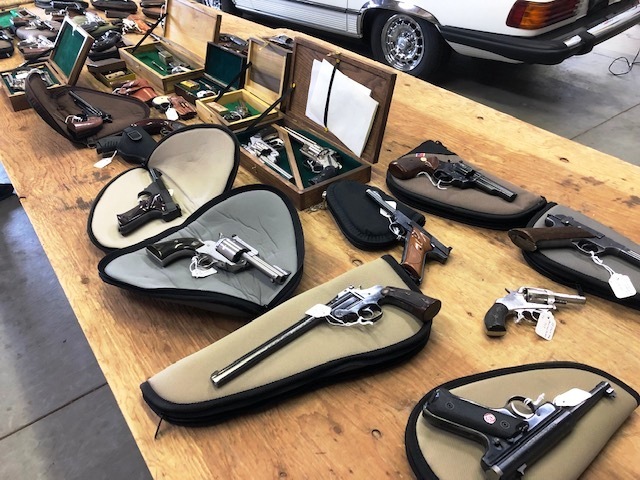 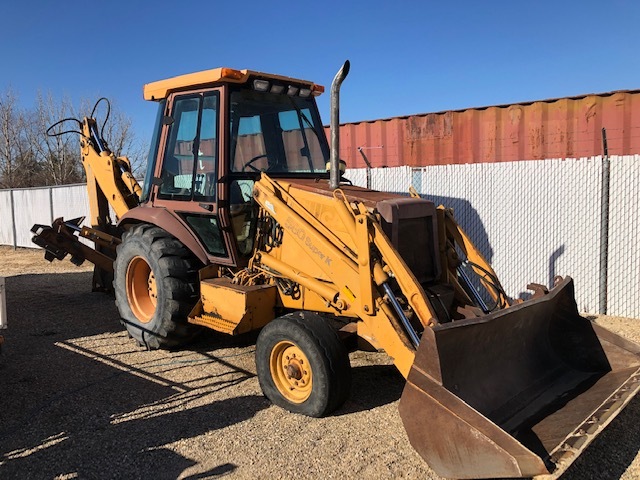 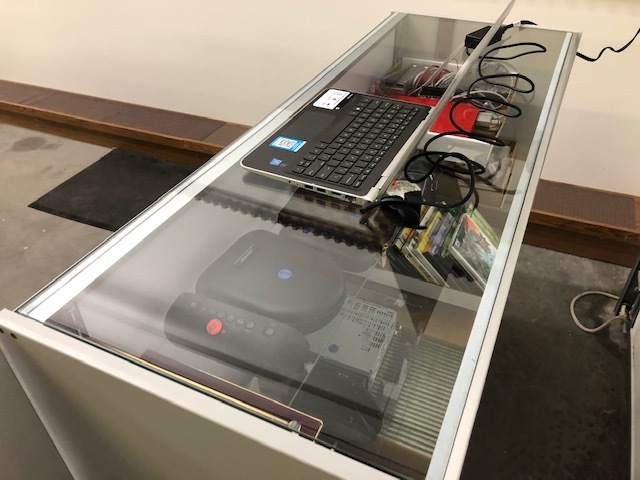 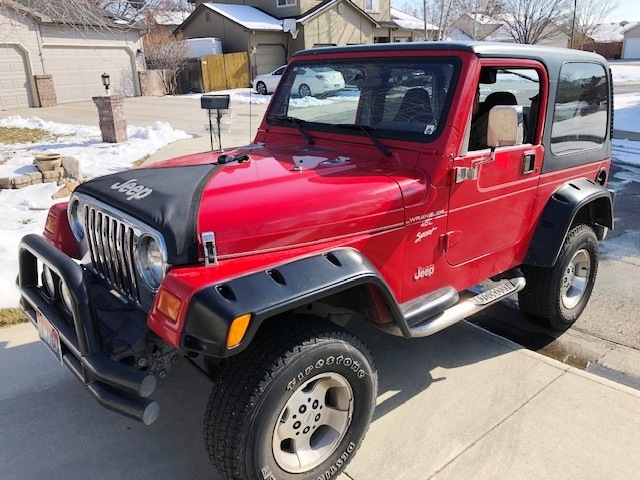 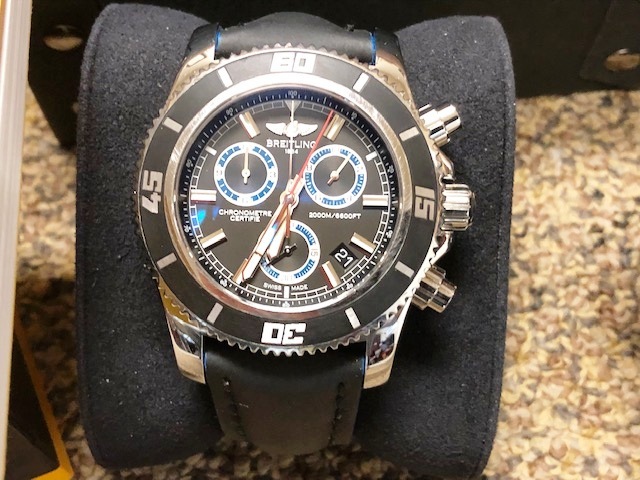 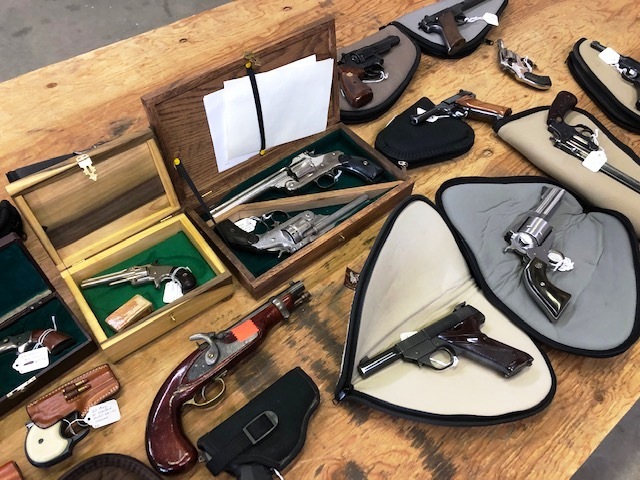 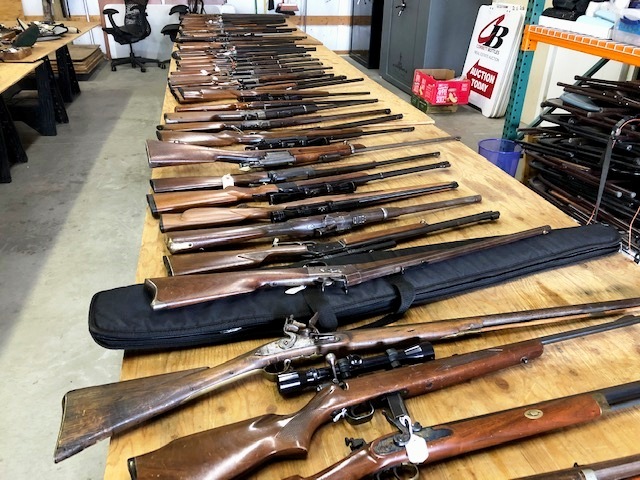 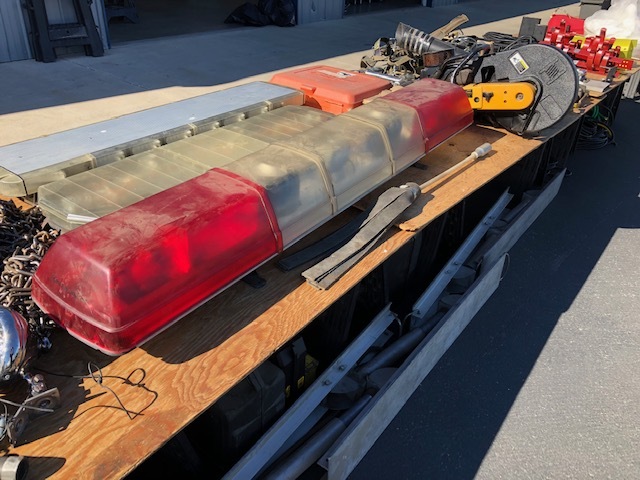 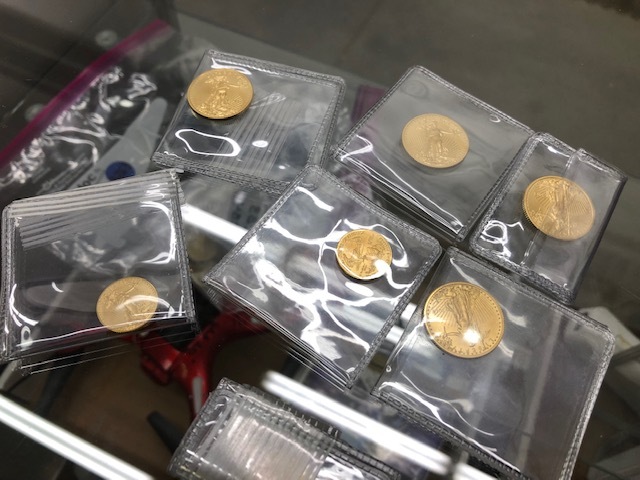 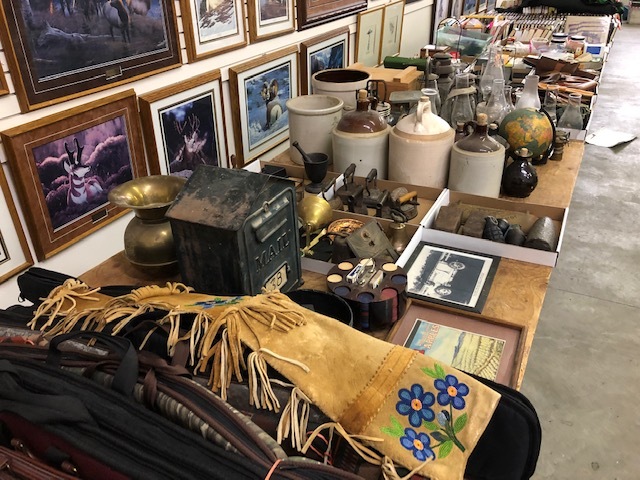 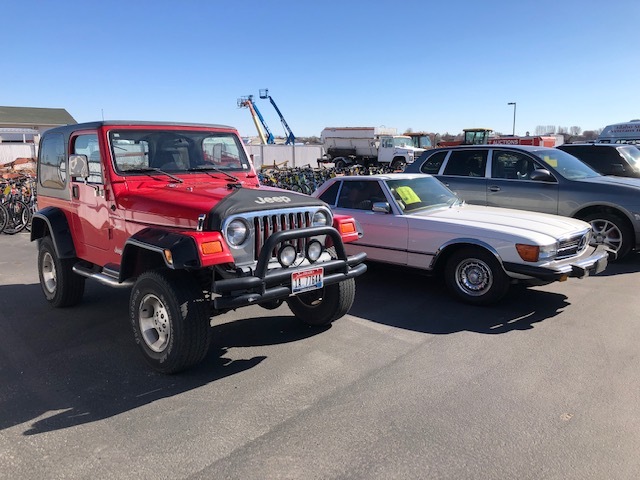 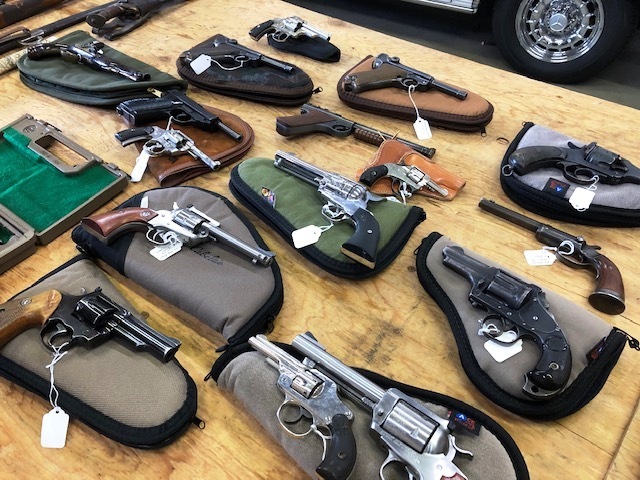 Description: Boise Police, Private Consignors **New Catalog Addd 03-16-19 **LIVE AUCTION! 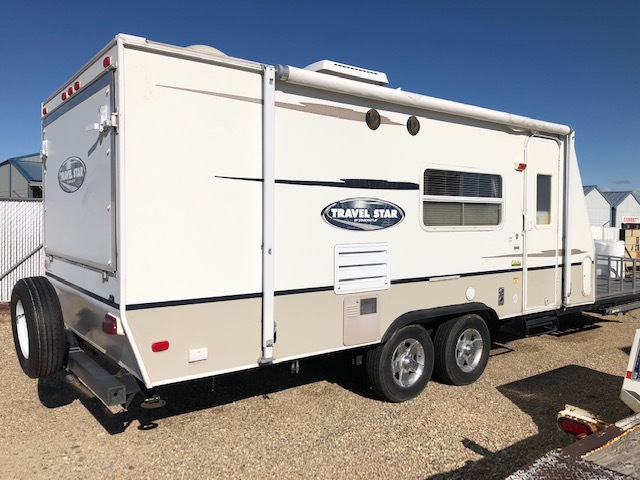 2007 StarCraft ATV/RV - 21' RV-30' Overall Length, Travel Star 21SD! 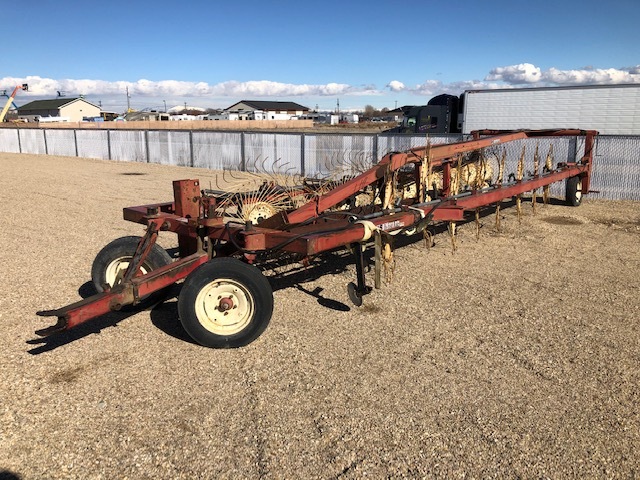 S. on Swan Falls, E. on Stagecoach. 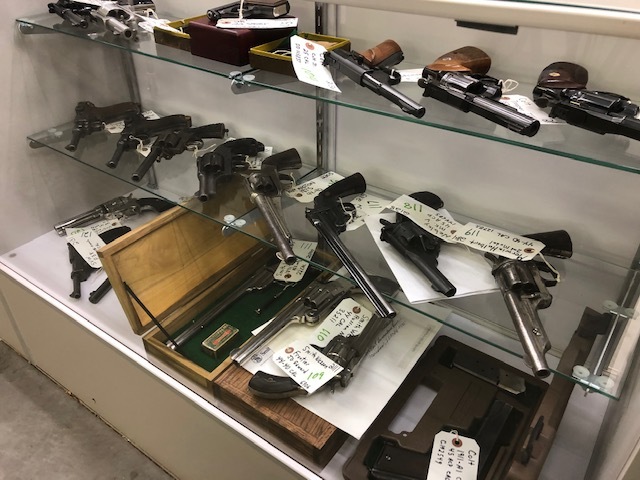 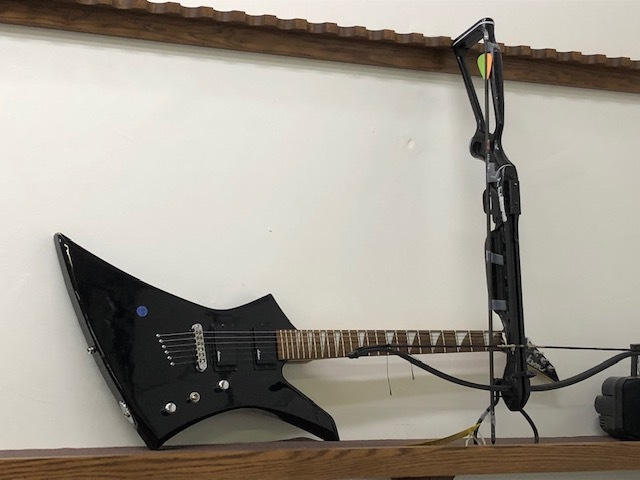 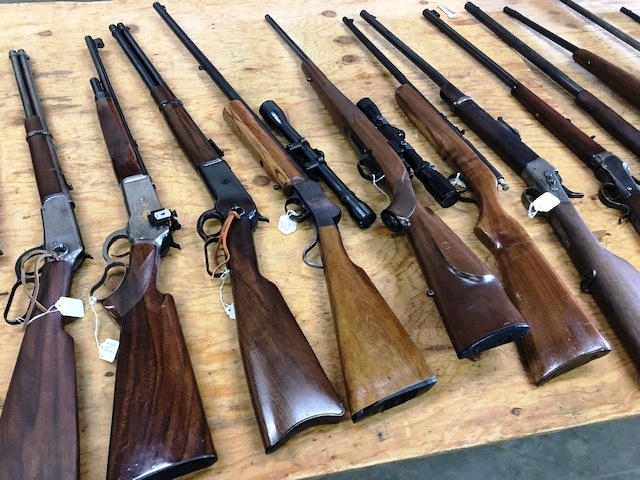 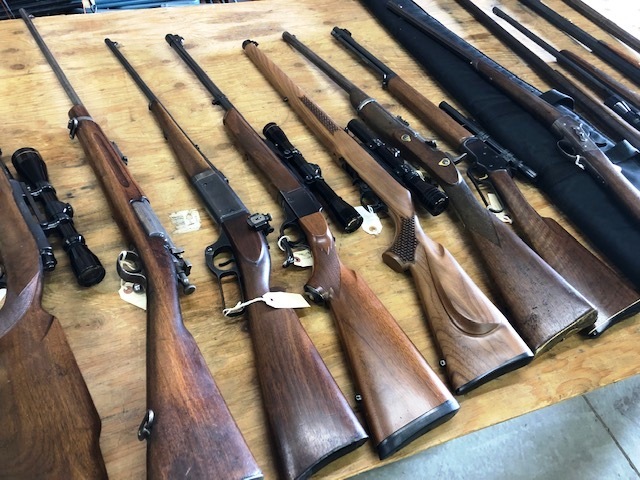 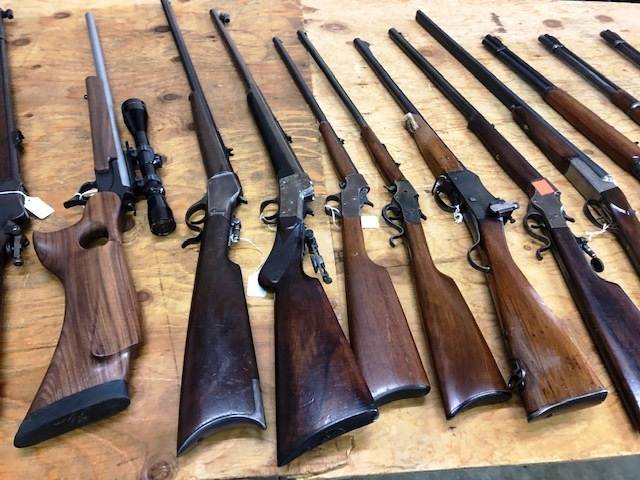 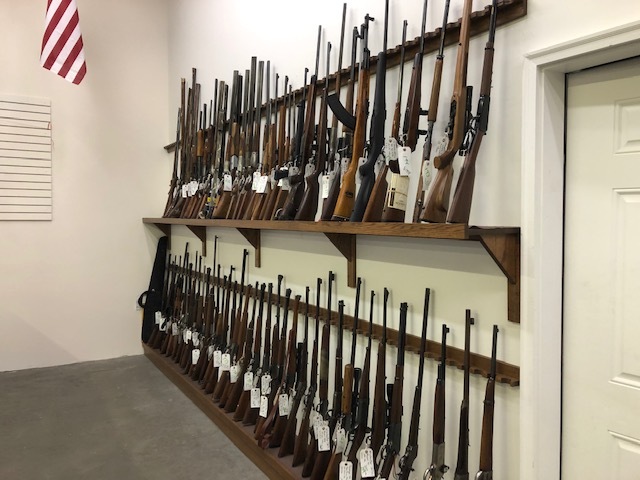 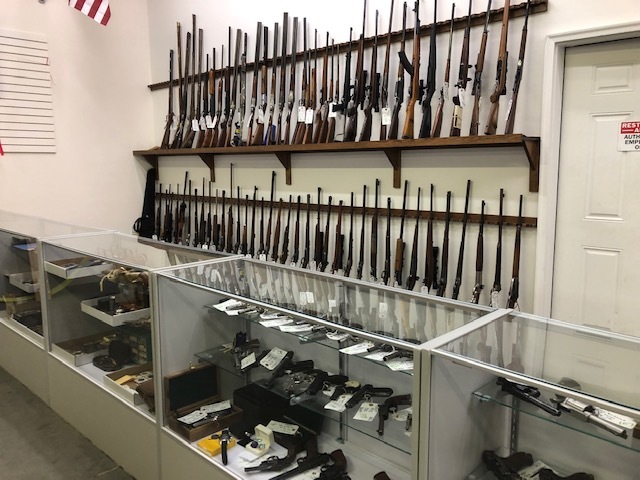 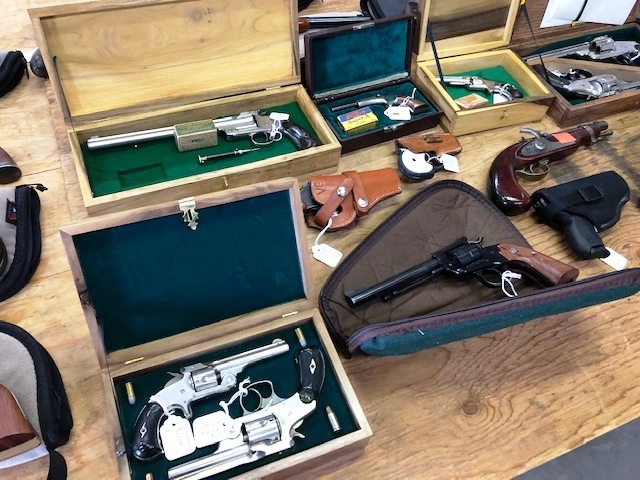 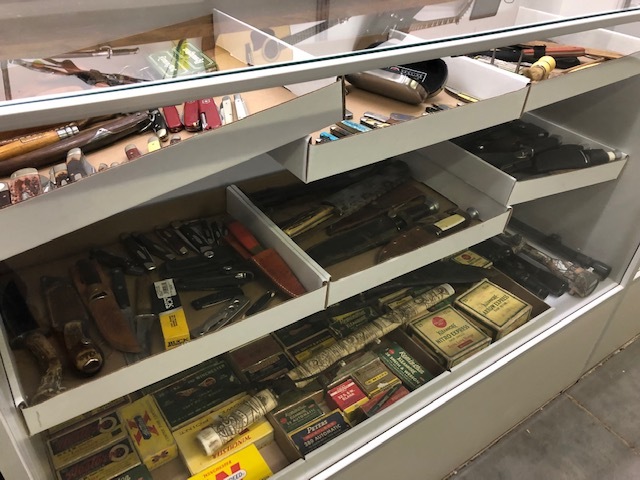 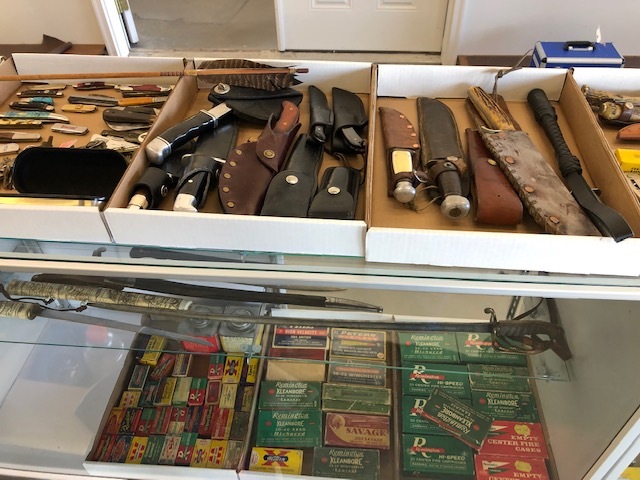 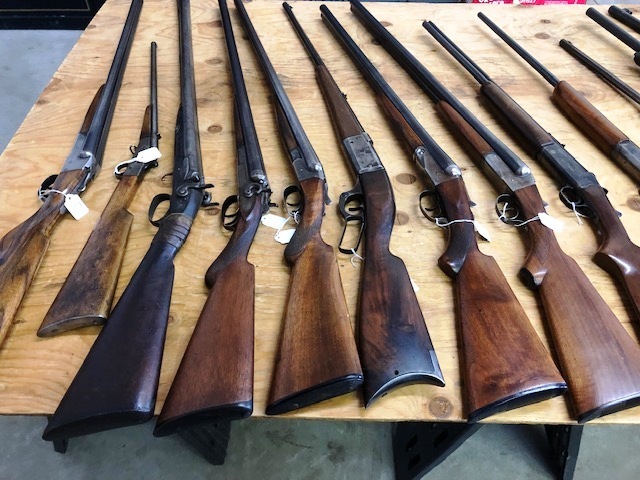 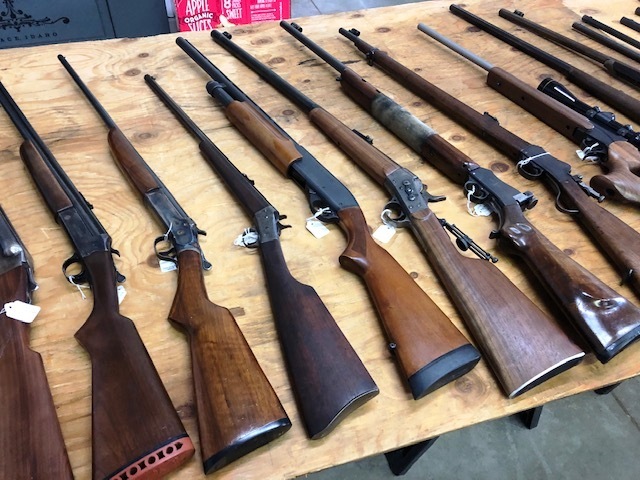 GUNS: (125) Including Winchester Collection Colt, Ruger, S&W, Luger, Browning—See Website for List. 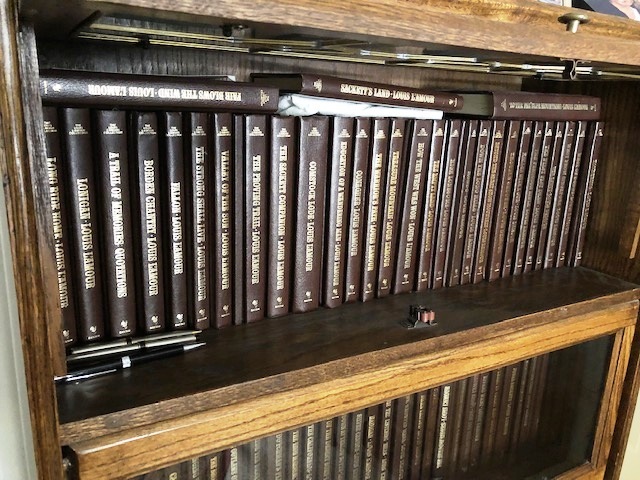 Leather Louis L ’Amour Full Set! 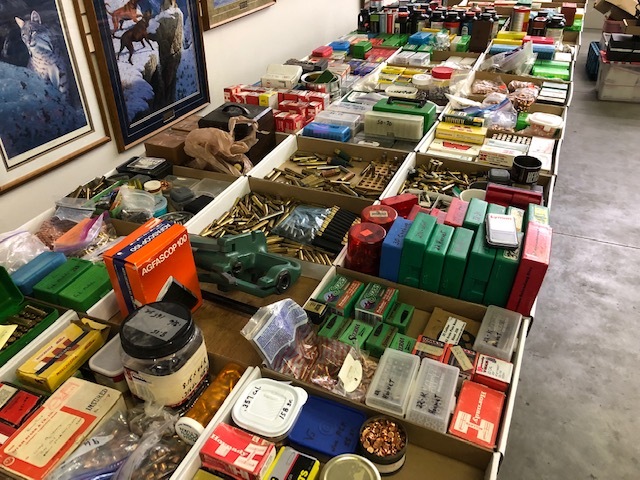 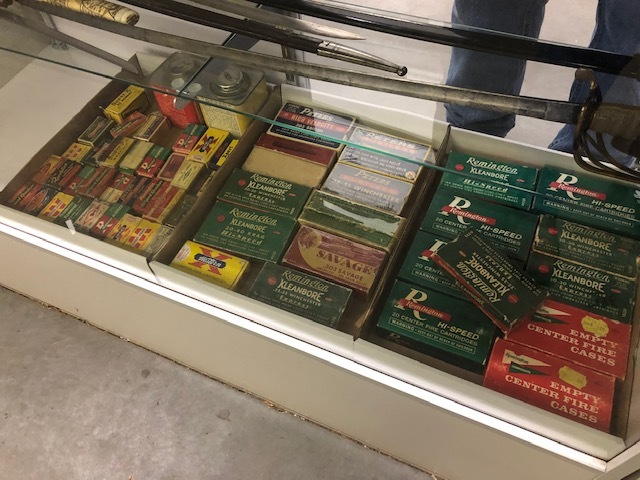 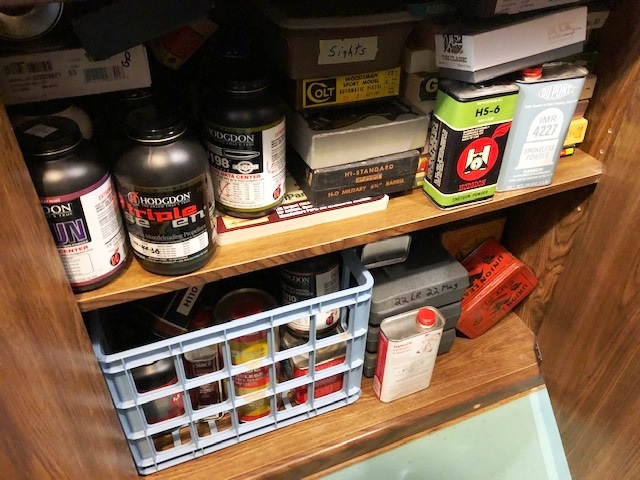 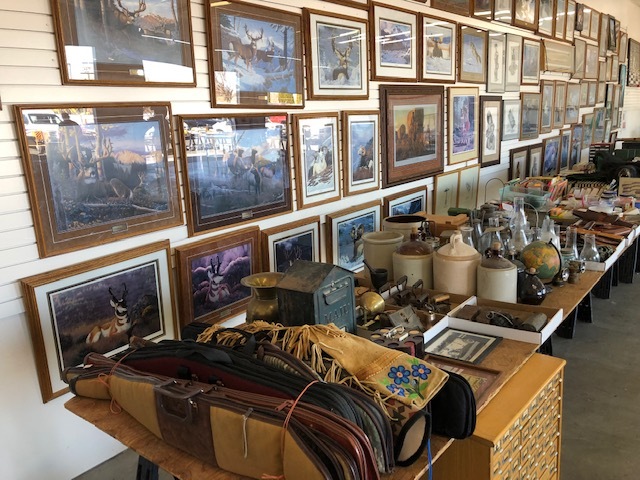 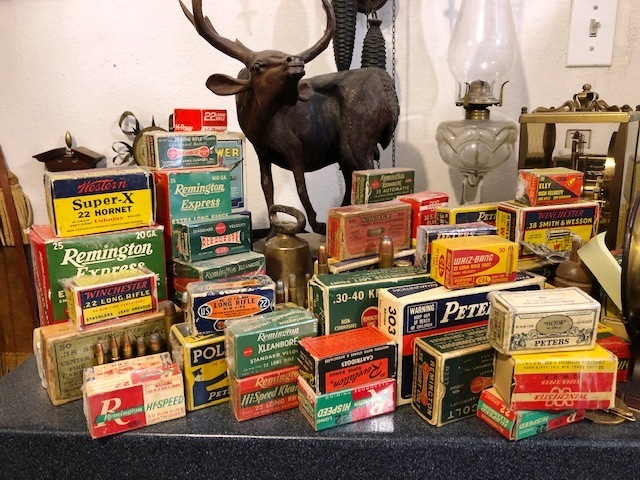 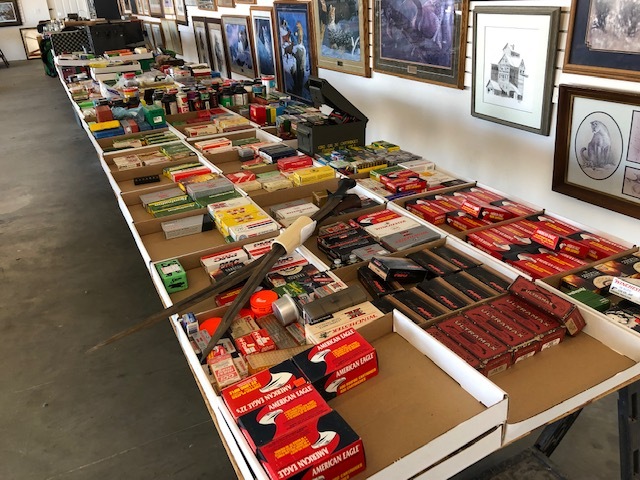 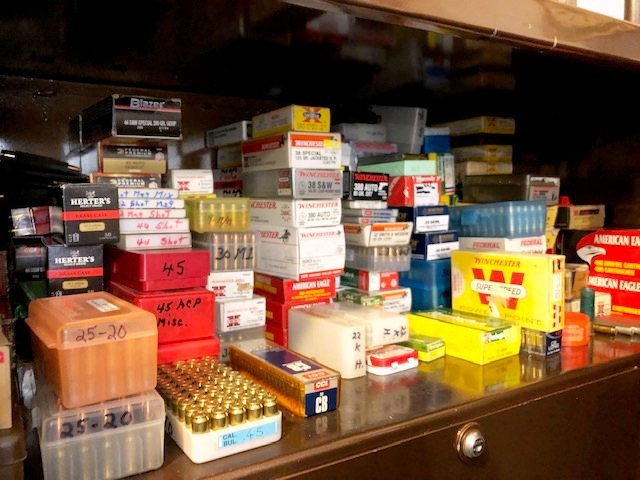 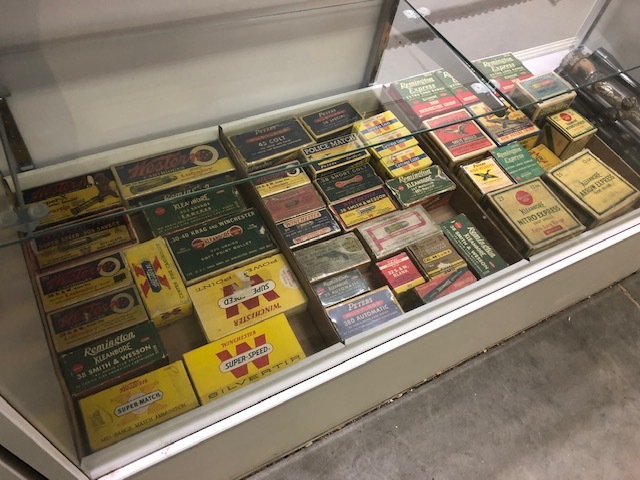 Reloading Supplies, AMMO, Powder Horns! 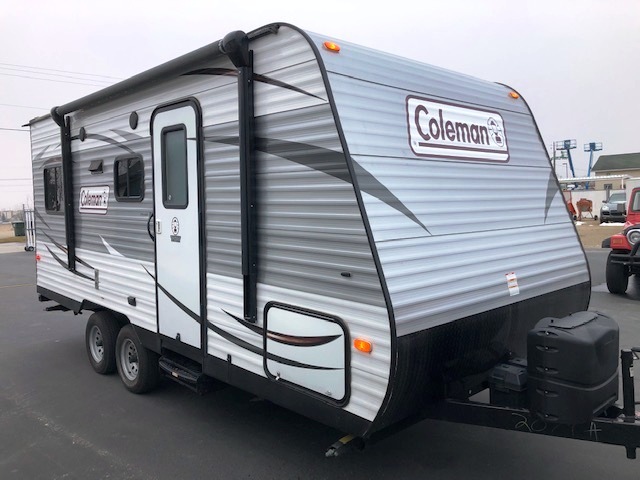 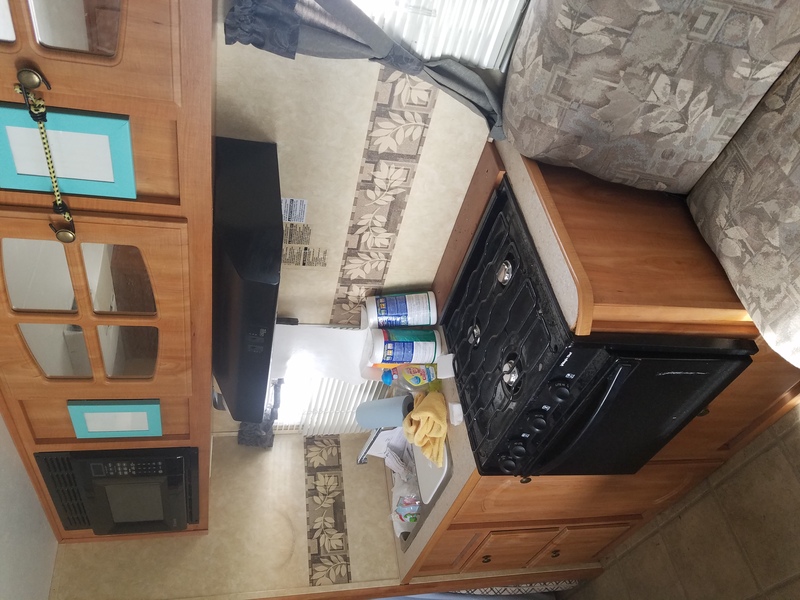 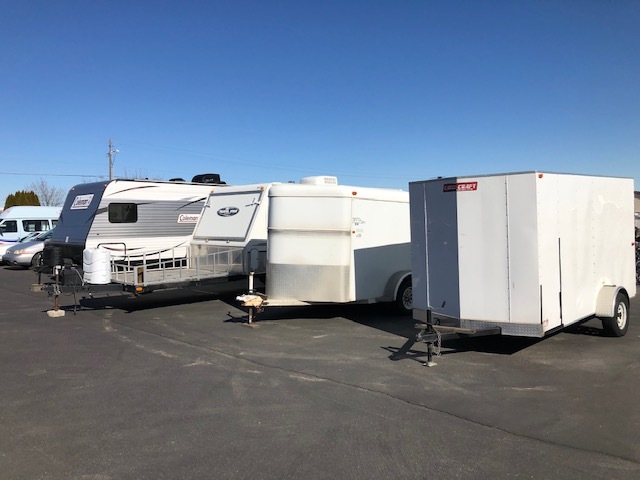 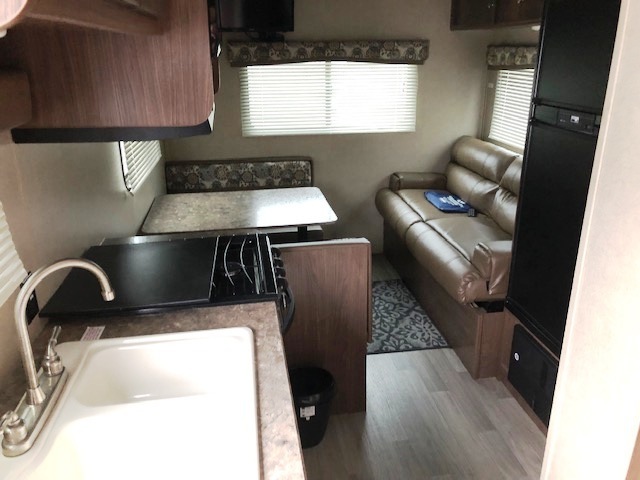 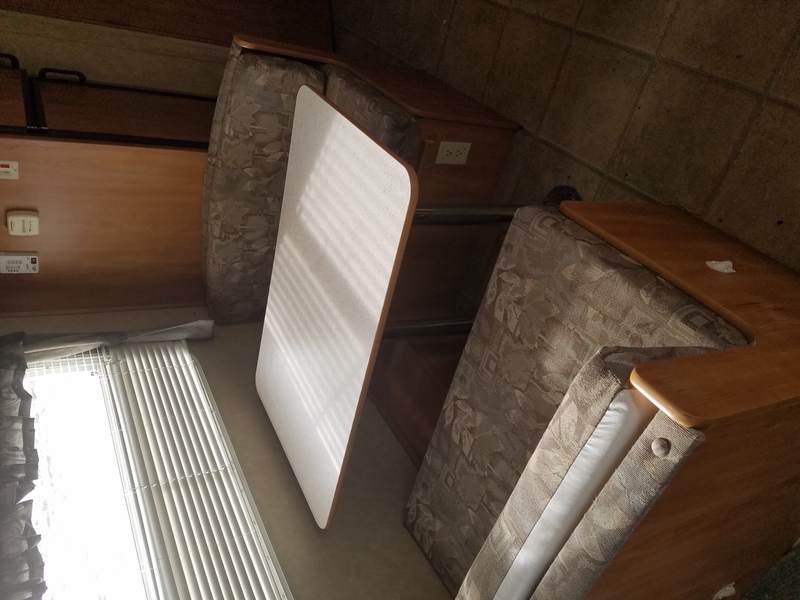 2017 COLEMAN 19’ RV LIKE NEW! 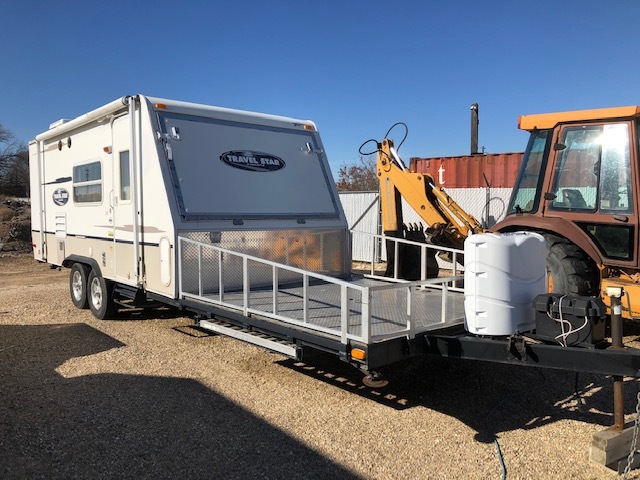 2007 STARCRAFT 21SD 21’ RV 30’ OVERALL LENGTH WITH DECK FOR ATV’S! 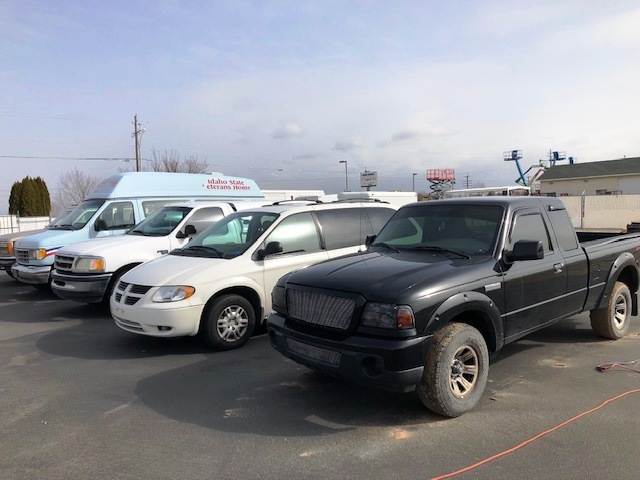 PICKUPS/CARS/SUV’S: 2001 Jeep Wrangler Sport, 2005 Porsche Cayenne Turbo, 2008 Chevrolet Malibu, 2008 Ford Ranger Sport, 2007 Dodge Grand Caravan, 2002 Ford Windstar, 1994 Buick Century, 1992 GMC Suburban. 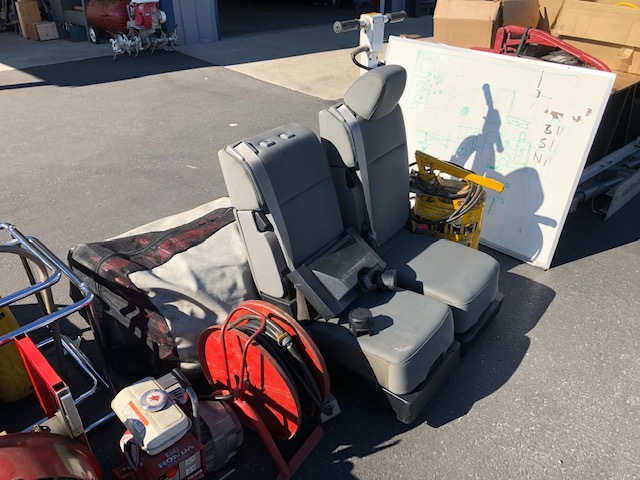 WHEELCHAIR ACCESIBLE VAN: 1992 Ford Van w/Power Wheelchair Lift/Ramp. 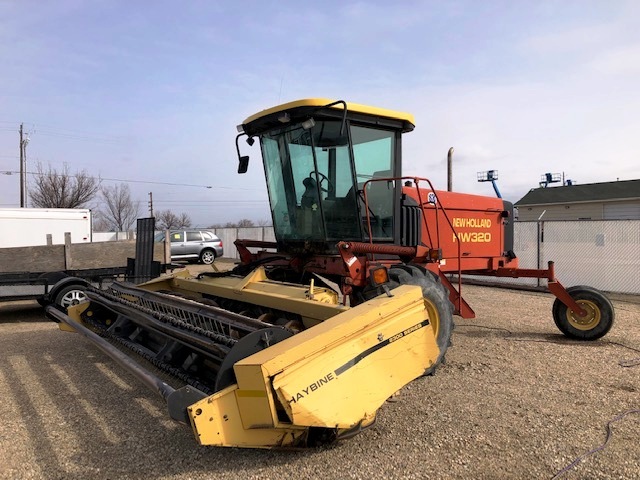 FARM EQUIPMENT/TRUCKS: 1991 580 Super K Backhoe, 1999 Hesston 4910 Baler, New Holland HW 320 Swather 3,485 Hrs., H&S Bifold 18’ Rake, 1980 Intl. 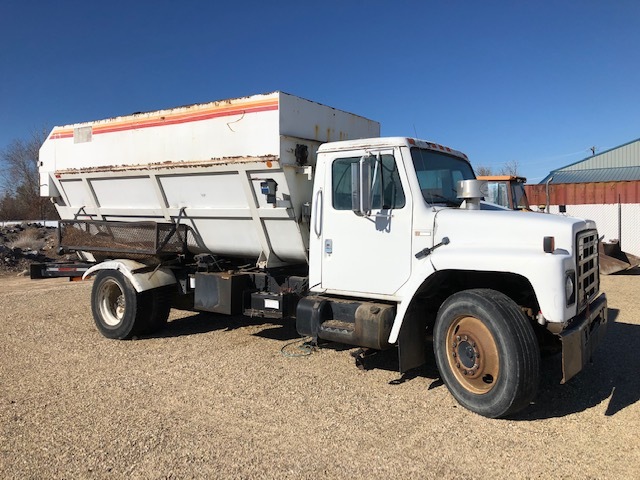 1854 Feed Truck Digi Star EZ400 Scale, Skidsteer Bucket, Skidsteer Quick Attach, 6’ 3-Pt. 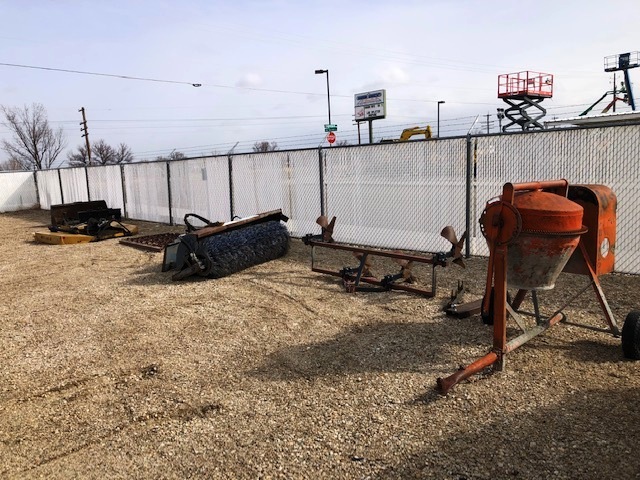 Mower, 6’ Harrow, 6’ Skidsteer Mount Broom, 7’ Corrugator, Ditcher, 9.5’ Blade. 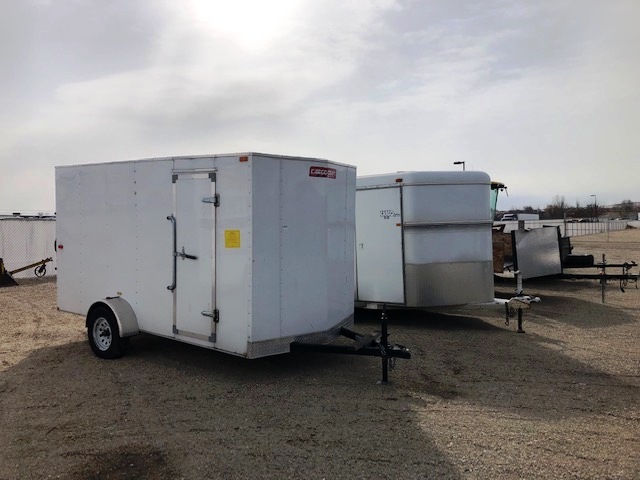 TRAILERS: 14’ V-Nose Cargo w/Man Door & Ramp, 12’ Cargo Craft Cargo, 2-Axle Cargo. 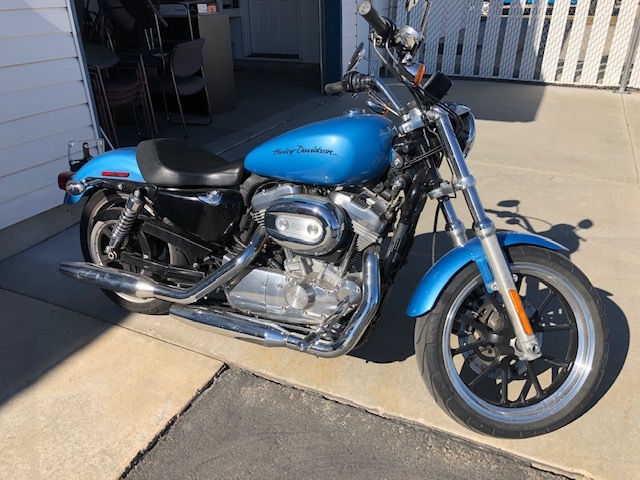 ATV/MOTORCYCLE: 2011 HARLEY DAVIDSON 883 SPORTSTER, Odometer Reads 57 MILES-Not Verified, 2012 & 2007 Honda ATV’s. 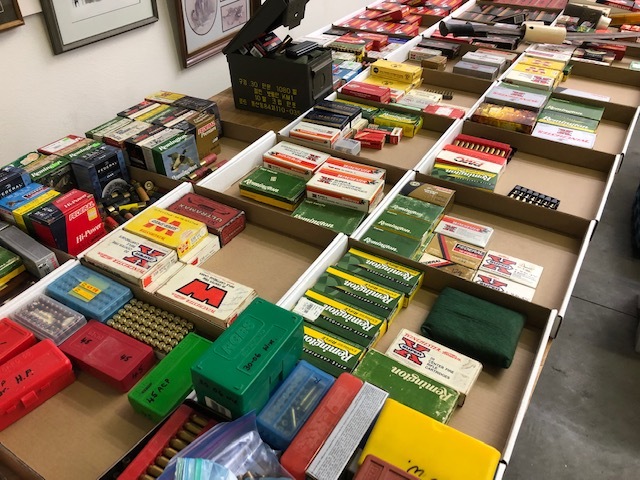 (250+)! 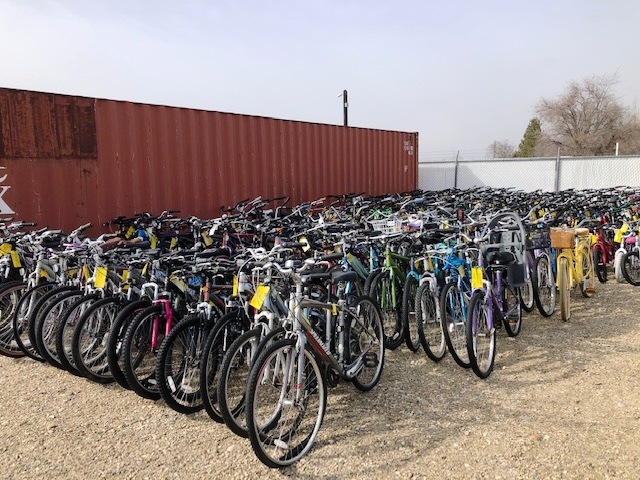 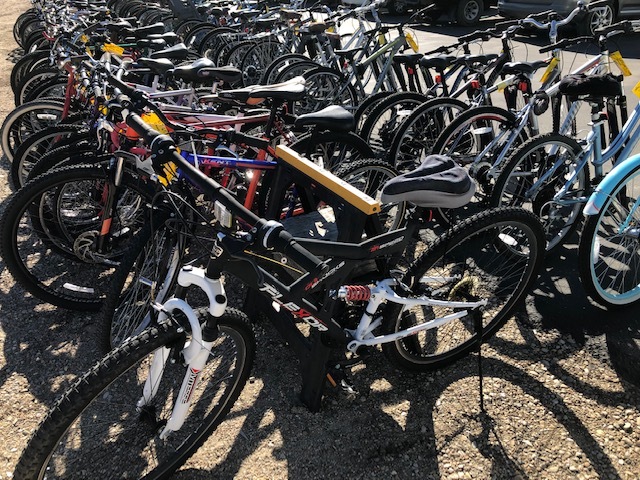 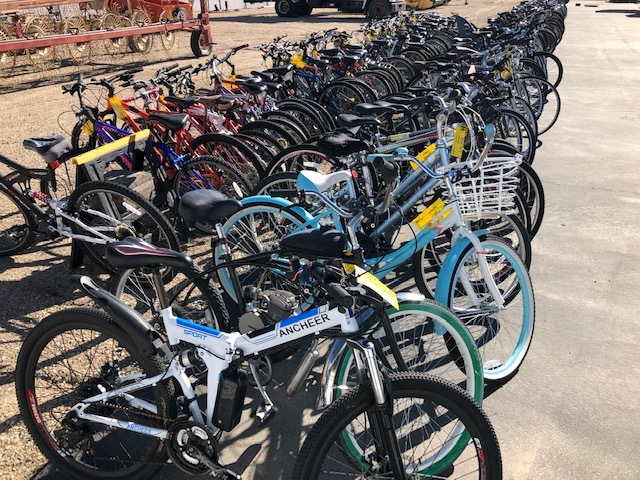 BICYCLES: From Boise Police & Ada County Sheriff. 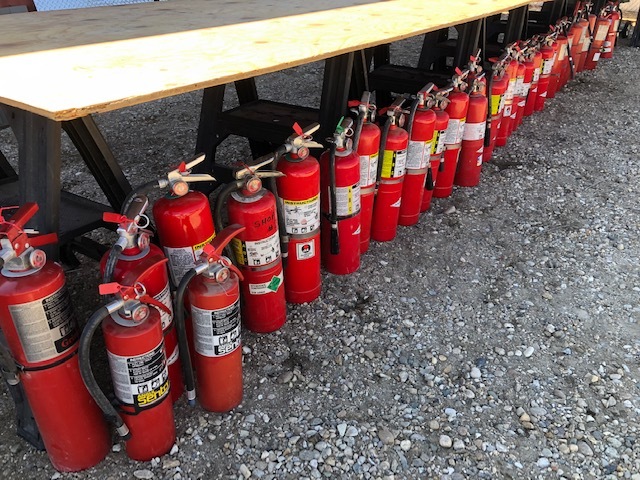 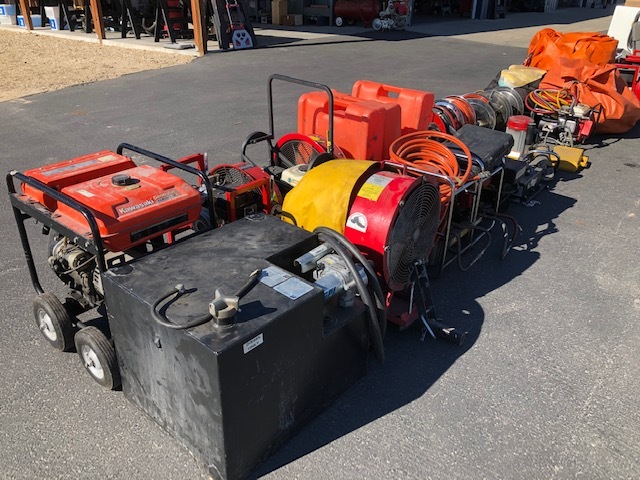 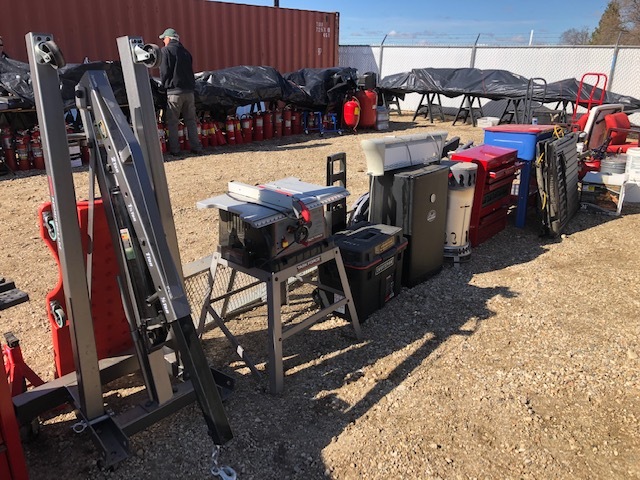 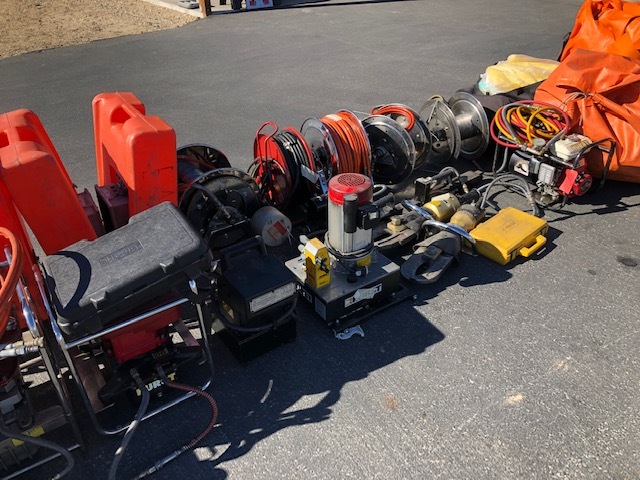 Eagle Fire Department Surplus Equipment: (4) Manual Trench Rescue Shores, (4) SCBA Storage Containers, (3) Extension Cord Reels, (3) Light Bars, (2) Portable Hurst Pumps, (2) Stationary Hurst Pumps, Hurst Cutting Tools, Hurst Combi Tools, (3) Hurst Rams, (4) Hydraulic Hose Reels w/Motors, Honda Generator, Kawasaki Generator, Air Bottles, (2) Gas Powered Ventilation Fans, (2) F250 Ford Jump Seats, Box of 5 Gal. 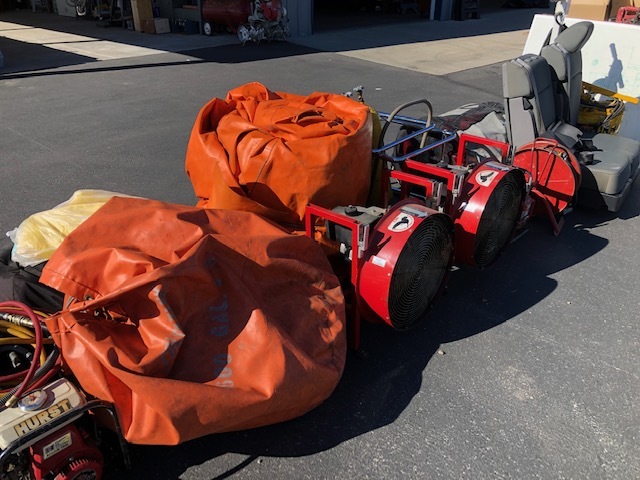 Water Containers, Tyvek Hazmat Suits 10-12, 1600 Gal. 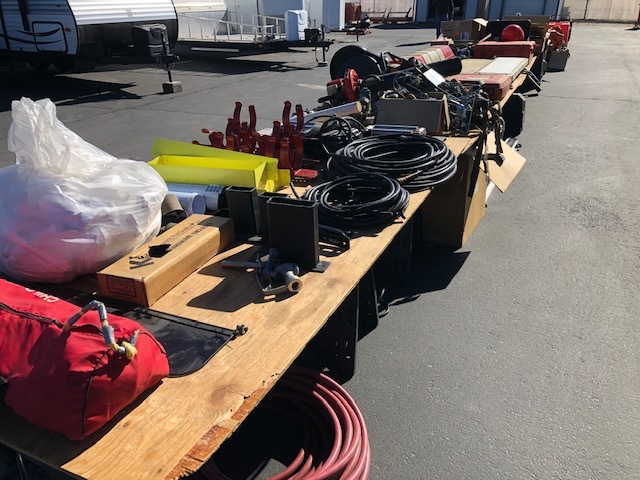 Portable Water Tank, (2) Portable Water Tanks, Diesel Fuel Tank w/Pump & Nozzle – and Much More! 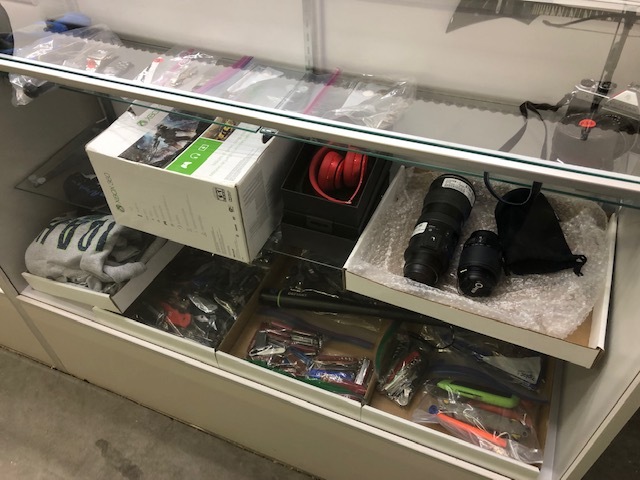 Electronics/Jewelry/Tools From Boise Police & Ada County Sheriff Property Room. 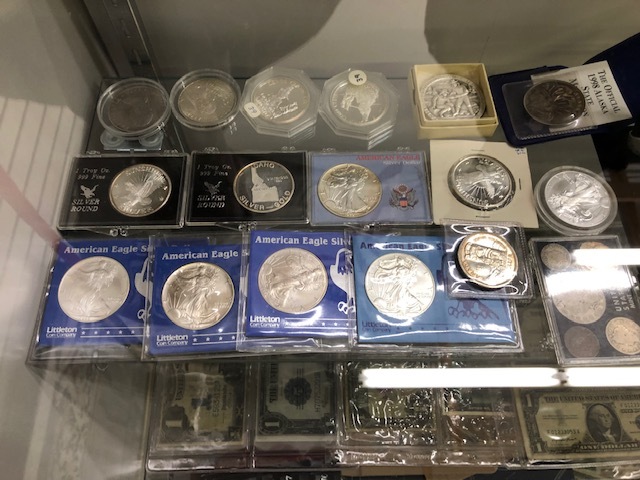 Seizures. 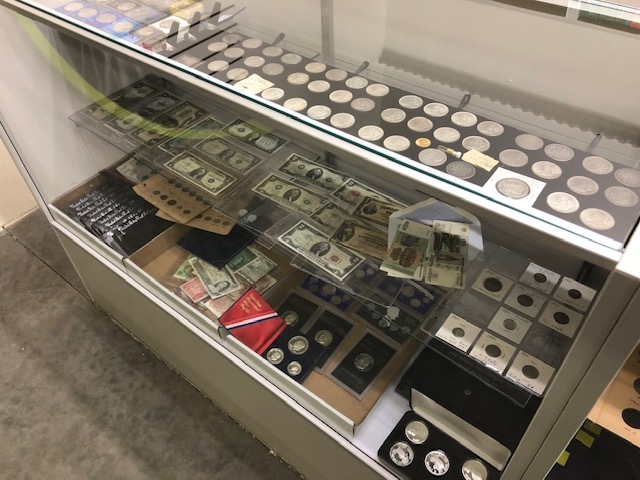 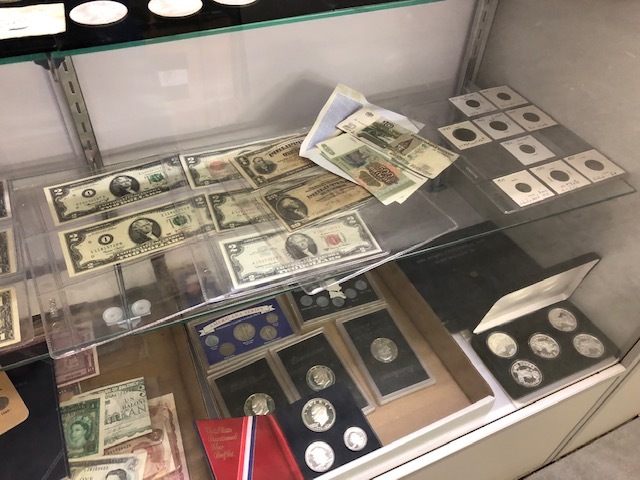 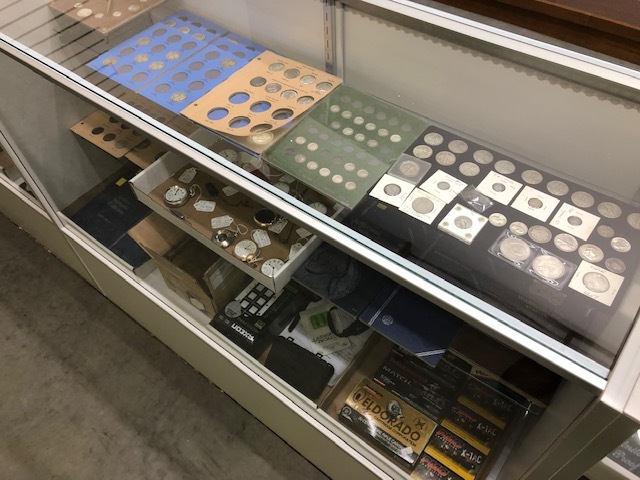 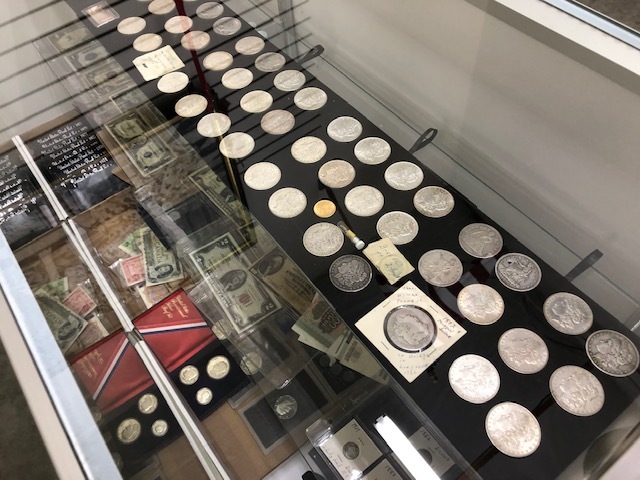 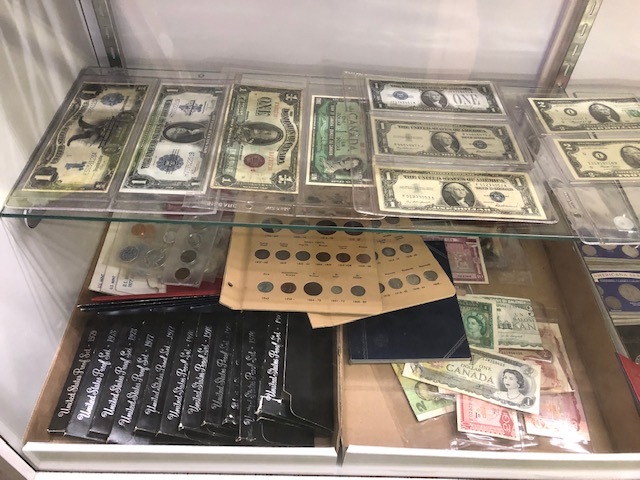 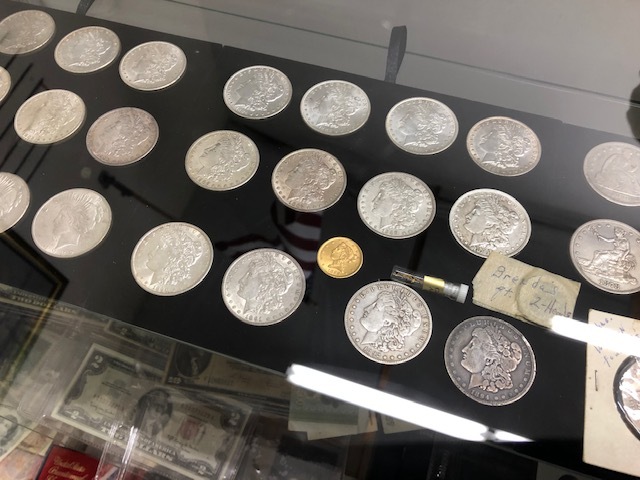 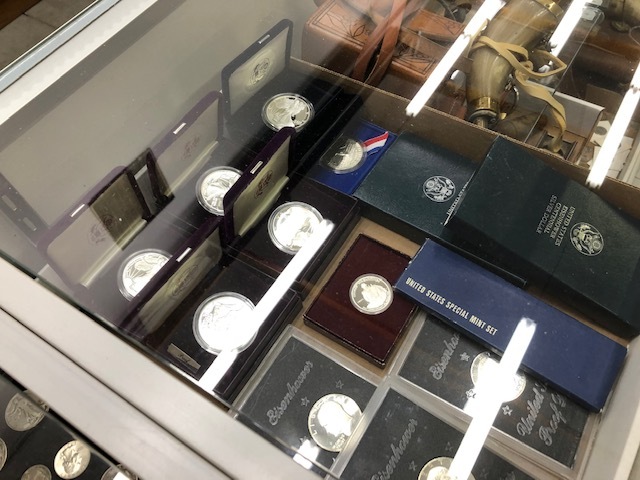 COIN COLLETION: 40+ Silver Dollars, Gold, ½ Dollars, Nickels & Much More! 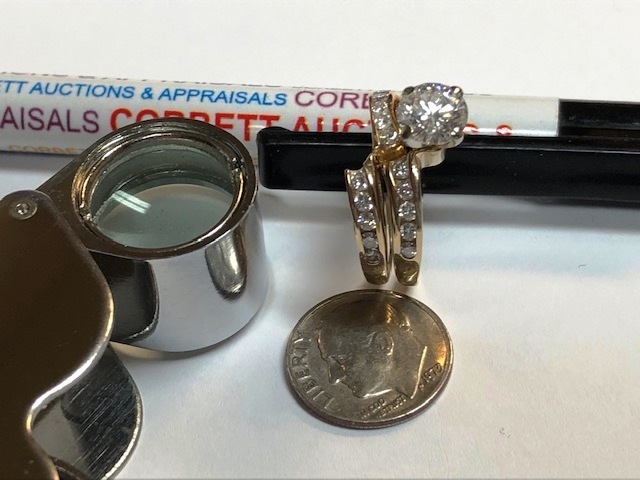 JEWELRY: 1.48 carat Diamond Ring 14K with 1.18 Center Stone! 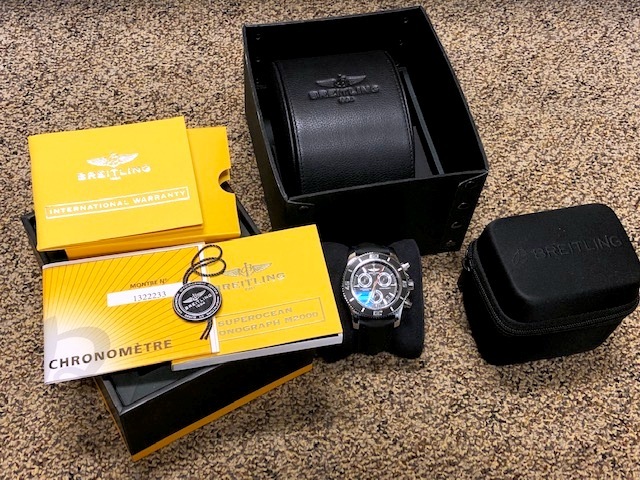 Breitling Super Ocean Chronograph Men’s Watch, (2) Large Aquamarines, & a 255 carat Amethyst! 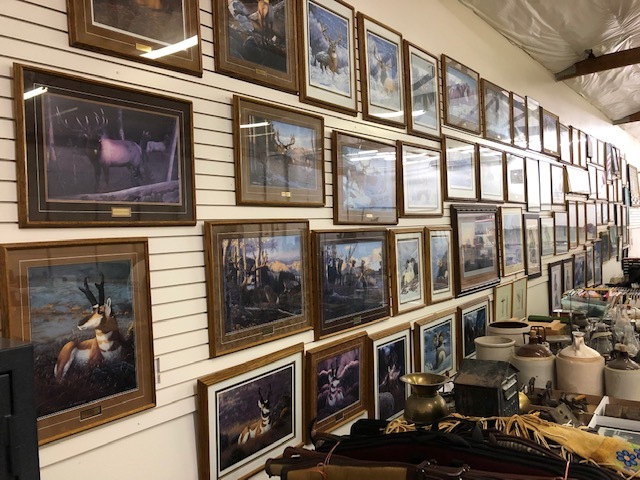 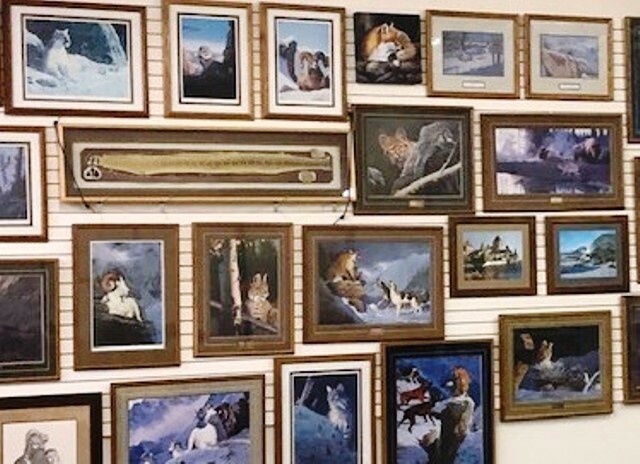 ARTWORK: (69) Framed Prints Artists: Mansanarez, Marcene, Quinzer. 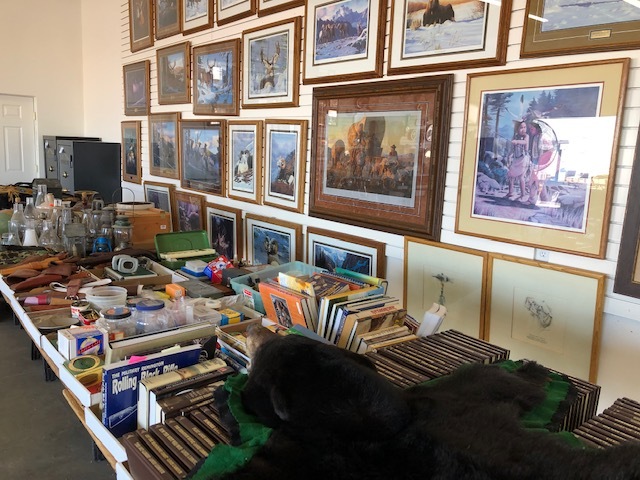 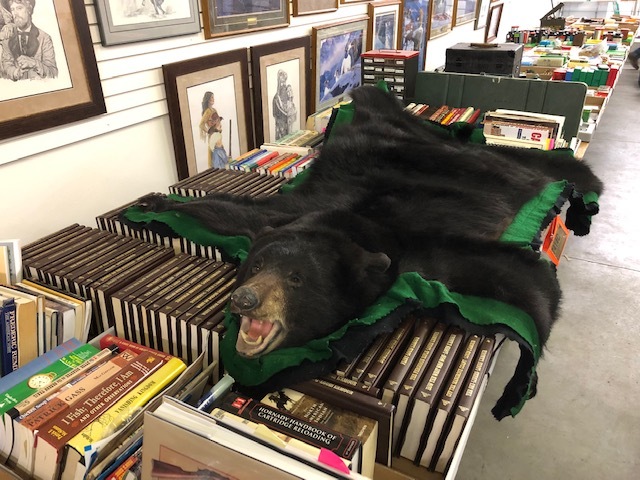 TAXIDERMY: Black Bear Mount/Rug. 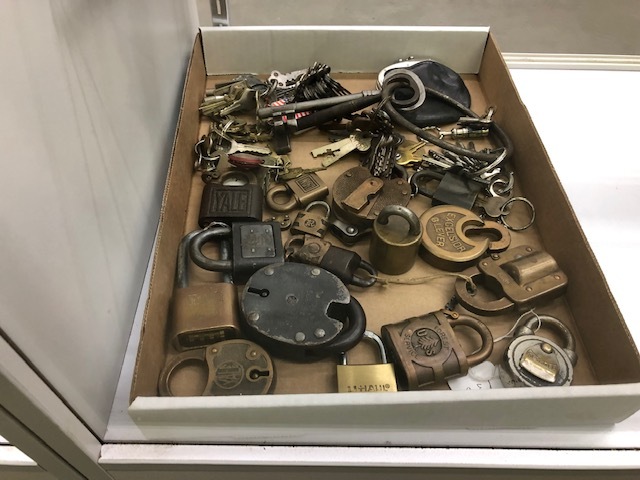 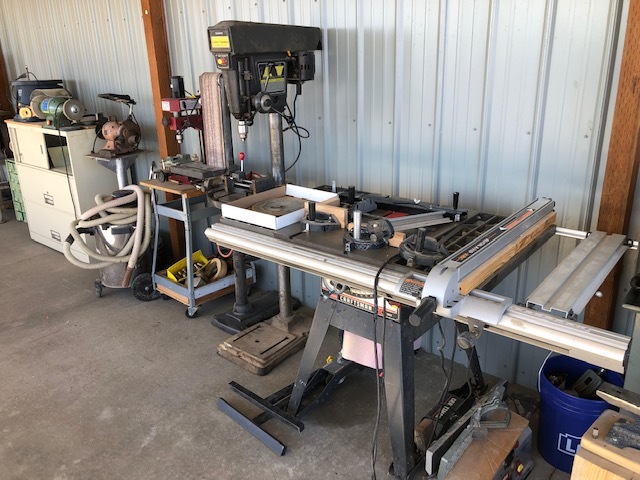 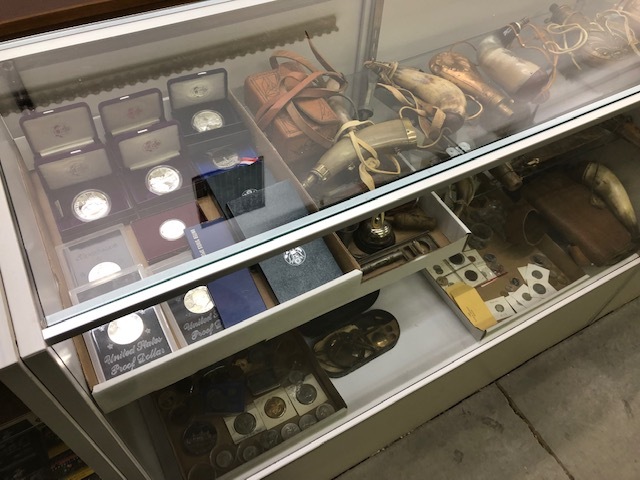 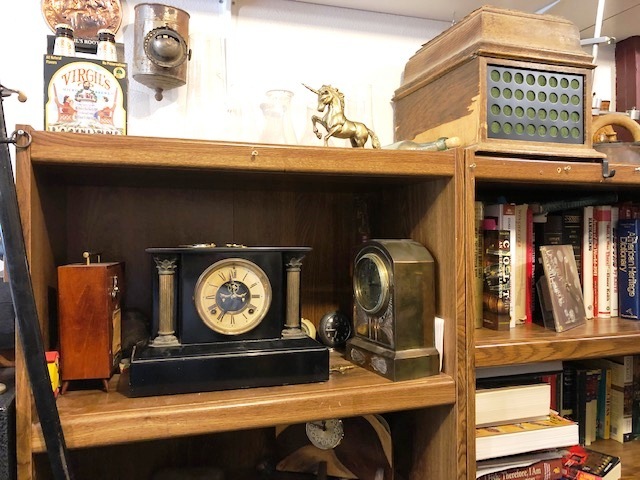 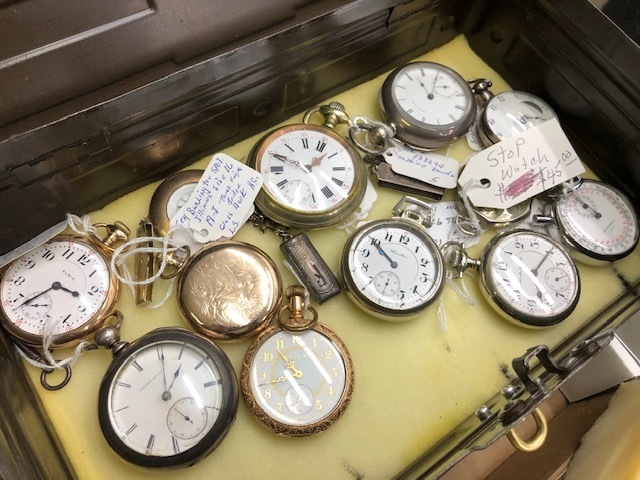 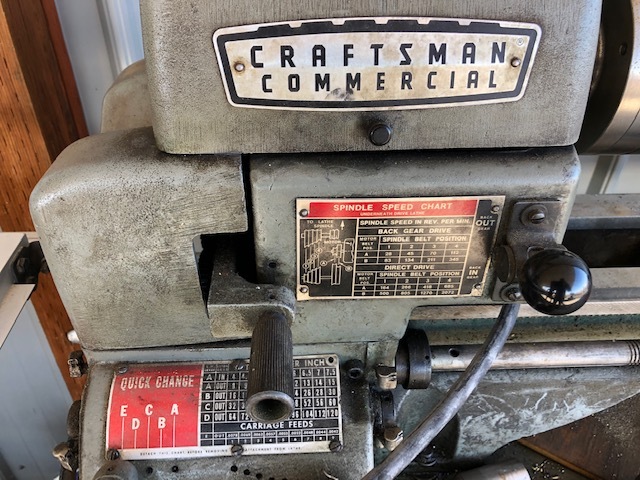 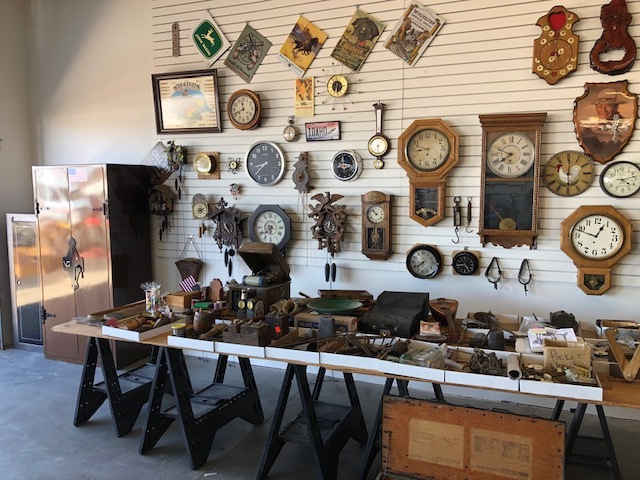 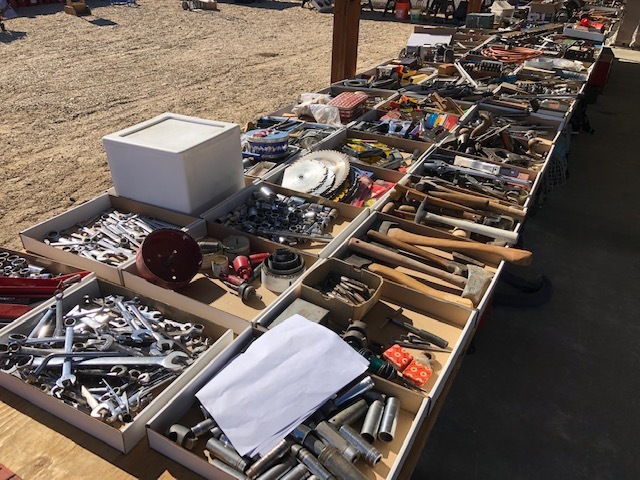 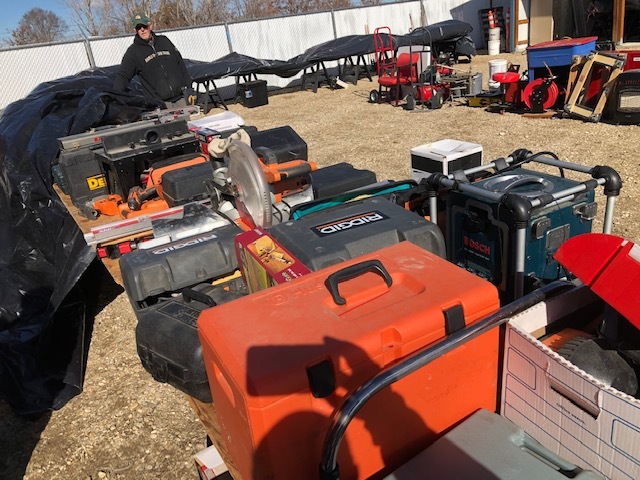 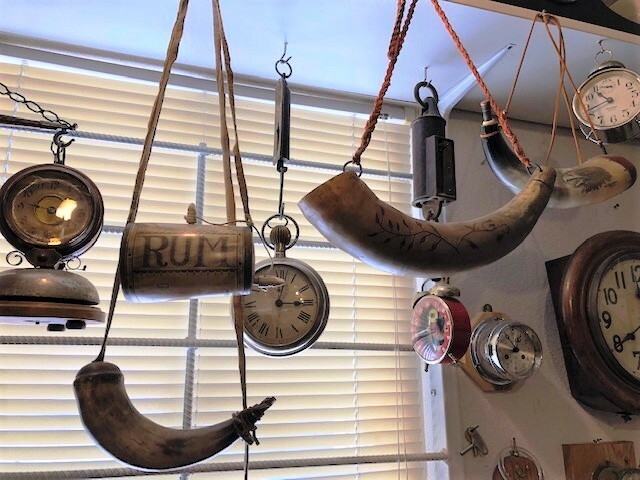 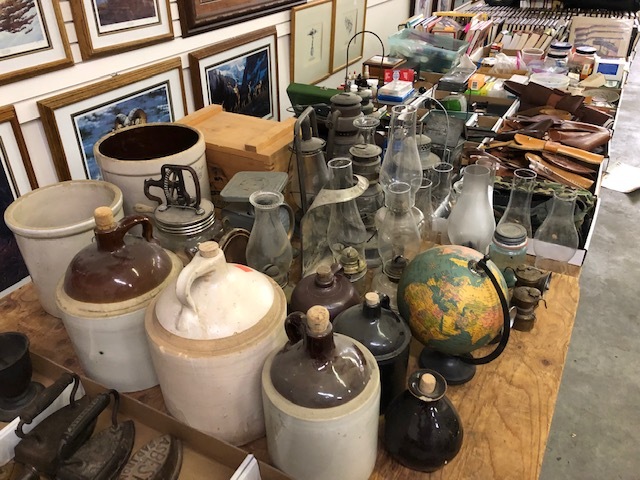 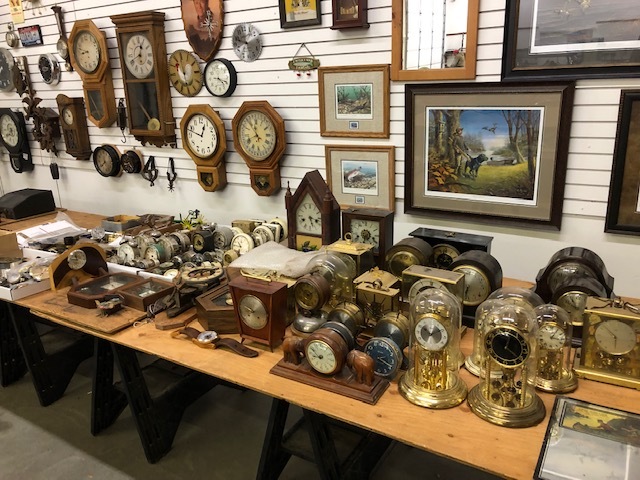 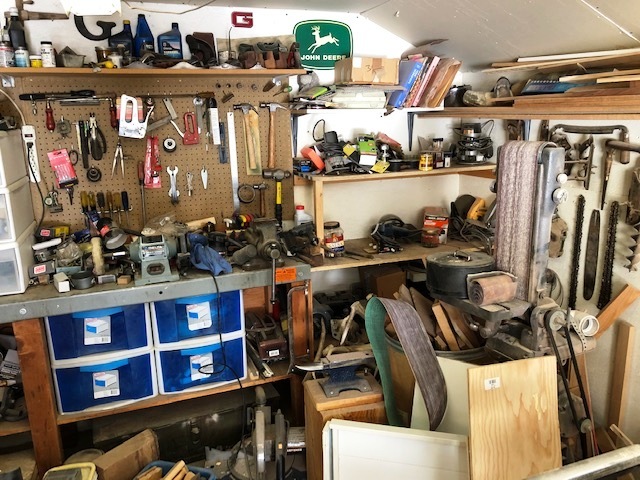 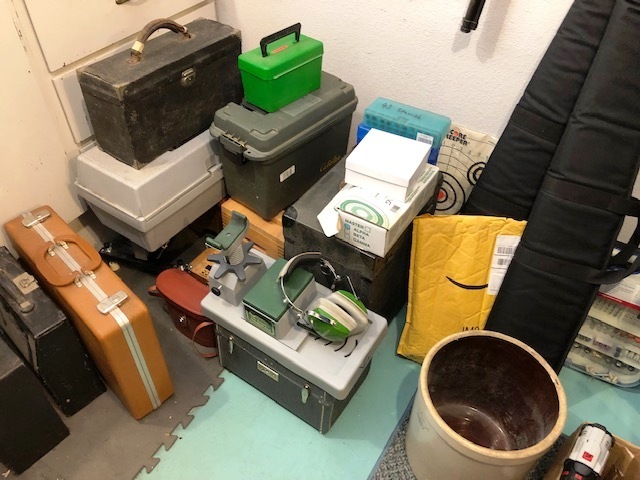 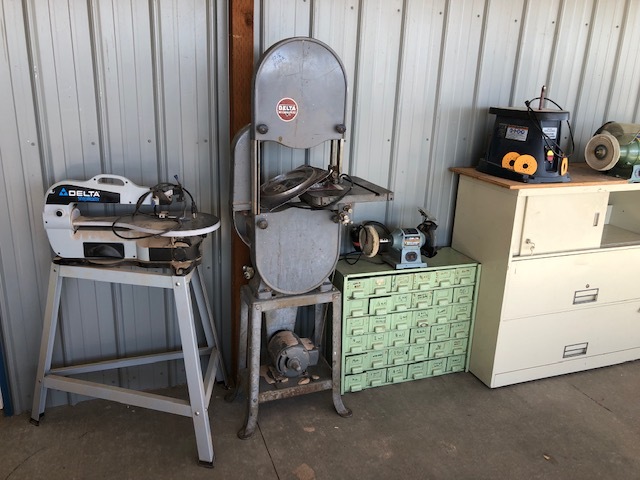 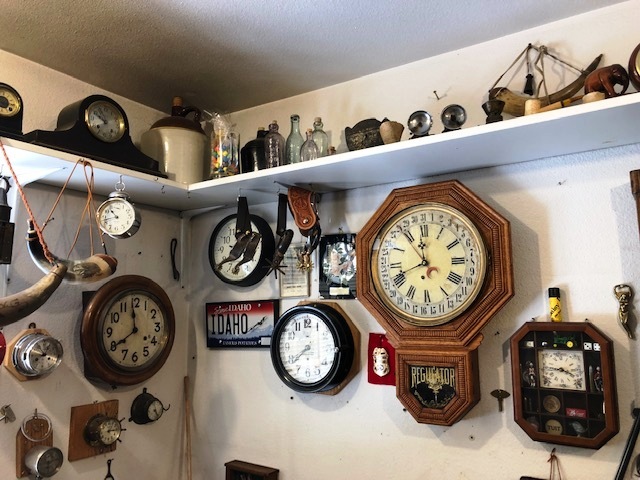 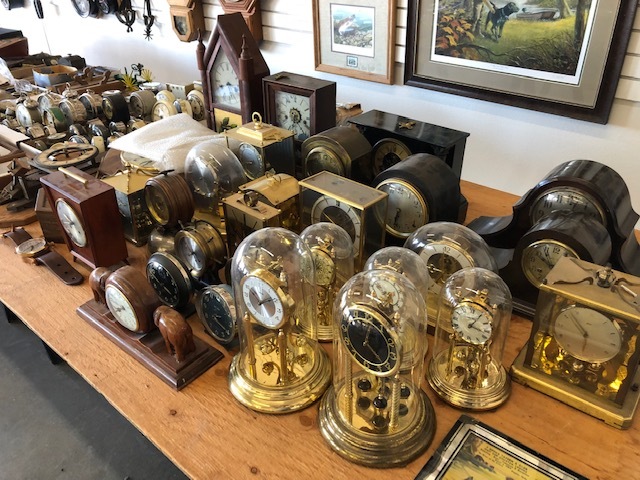 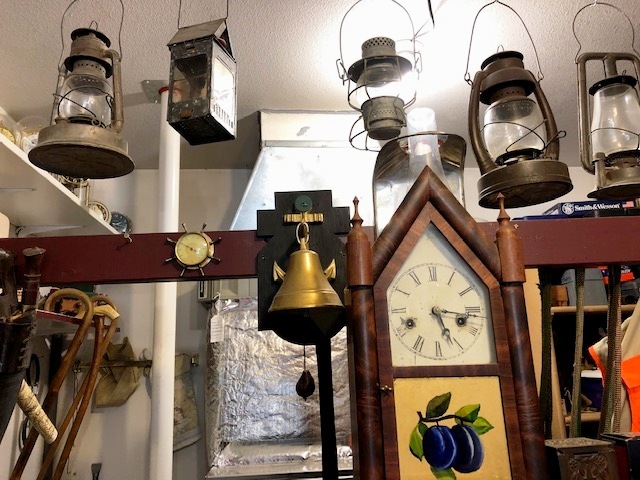 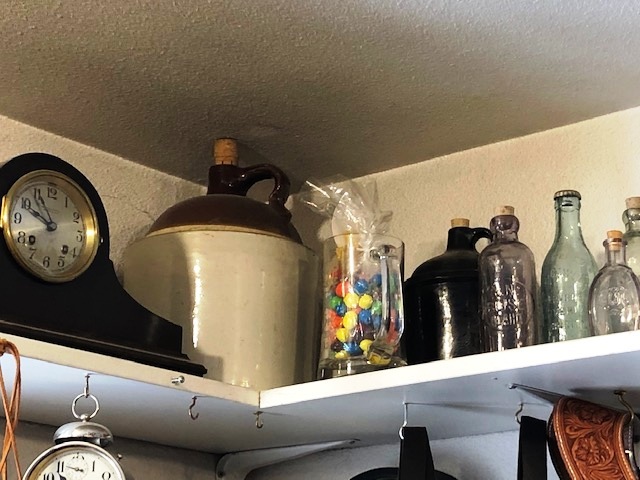 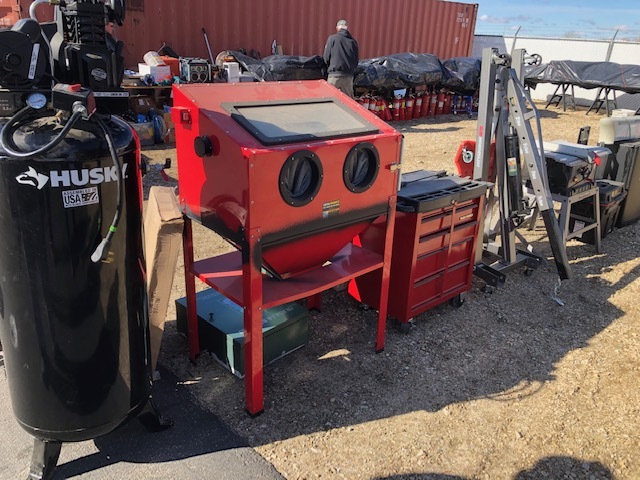 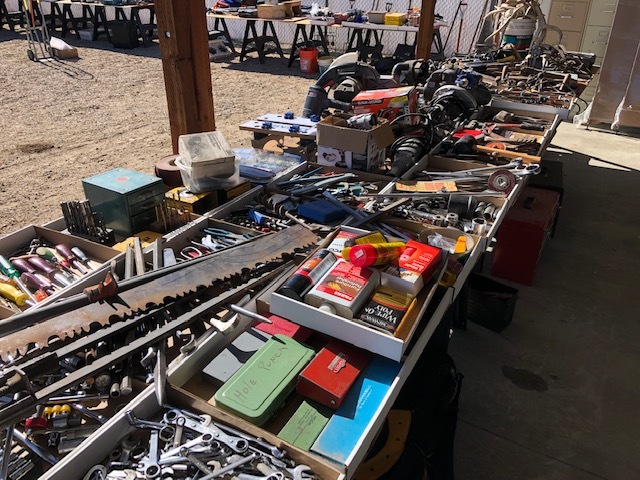 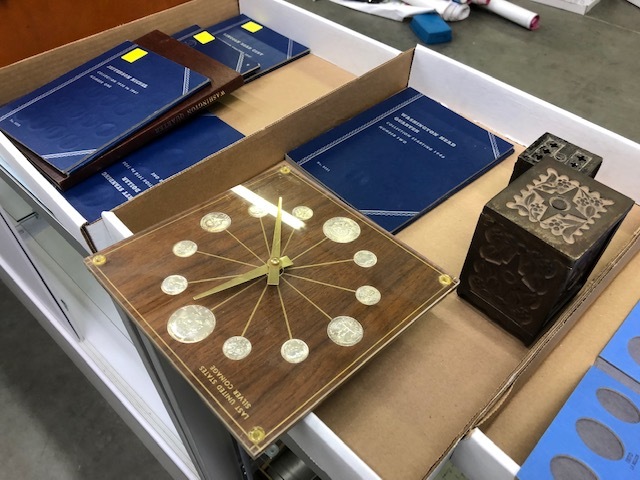 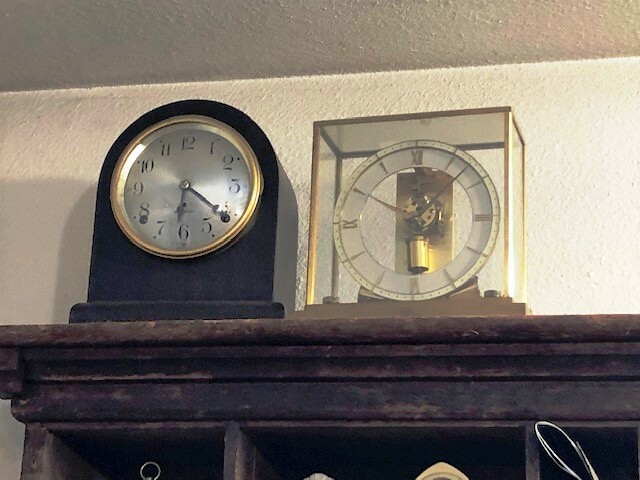 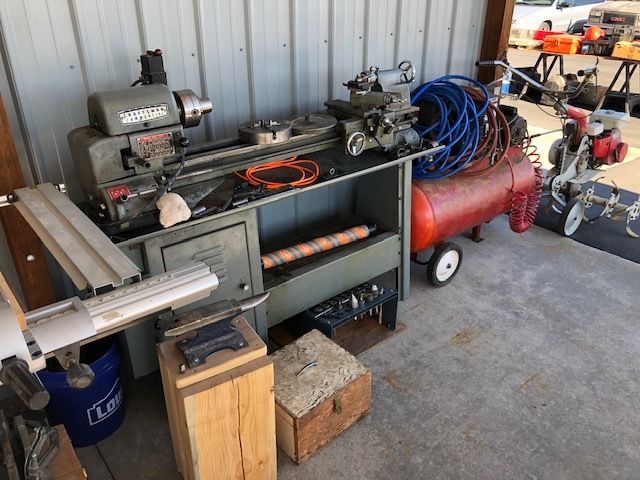 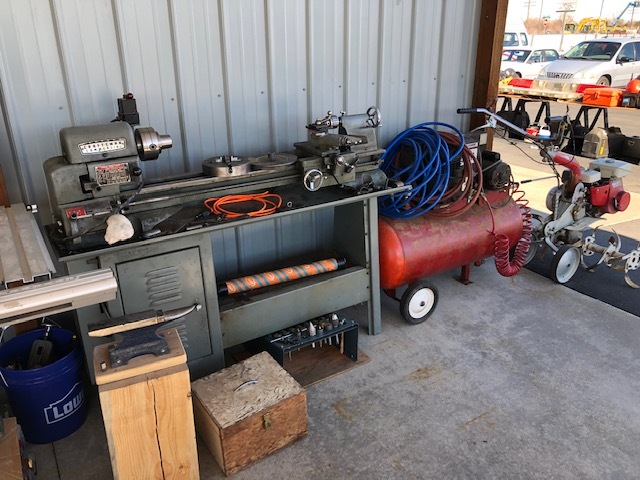 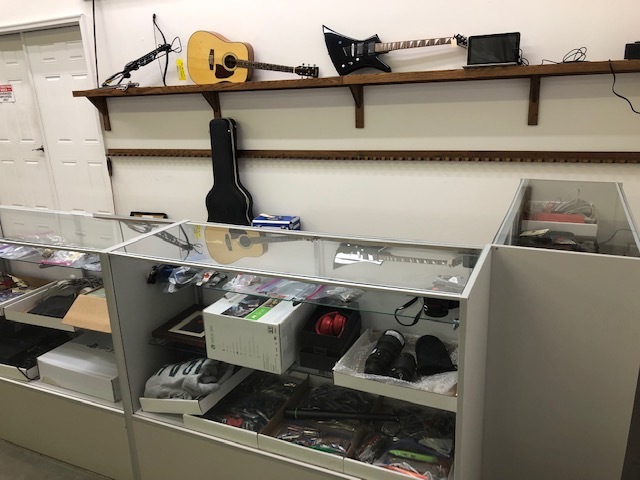 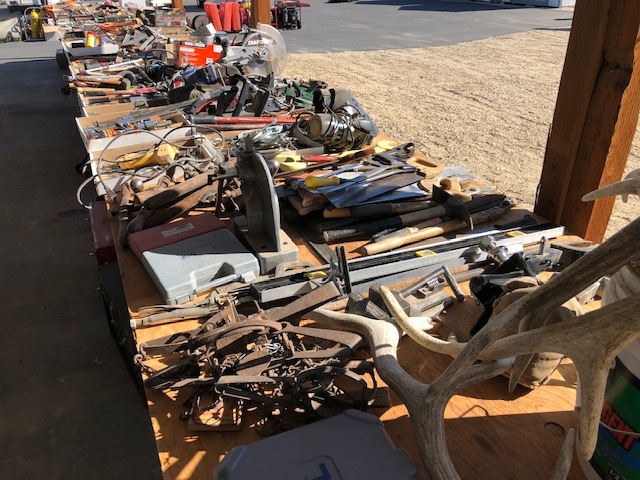 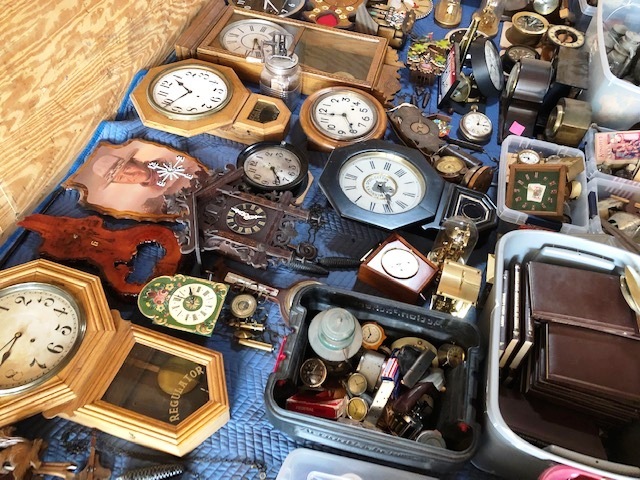 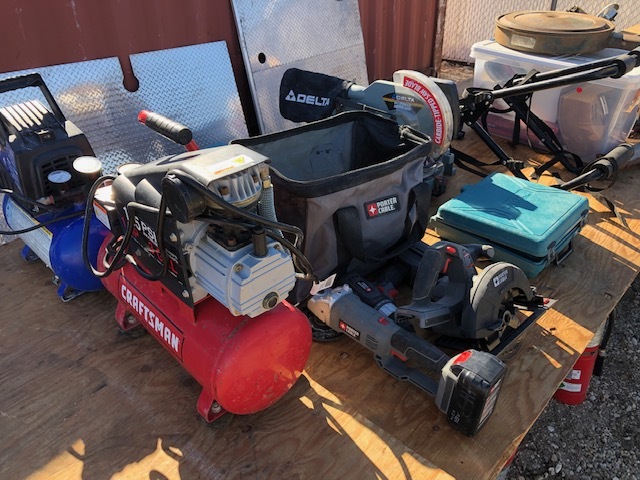 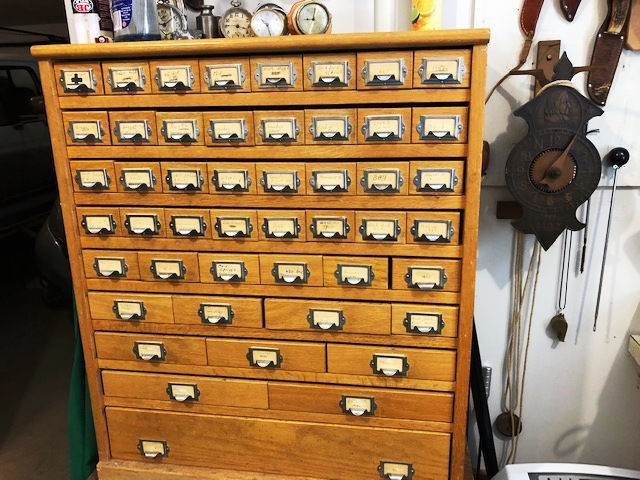 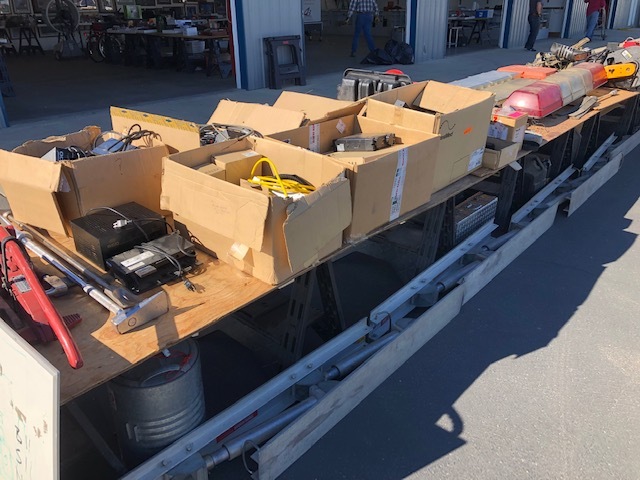 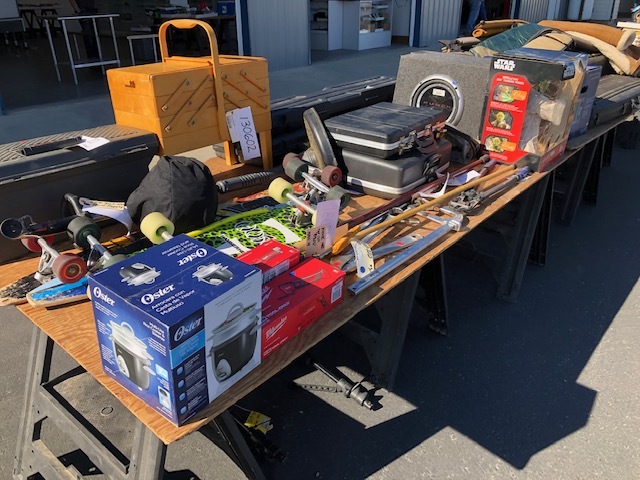 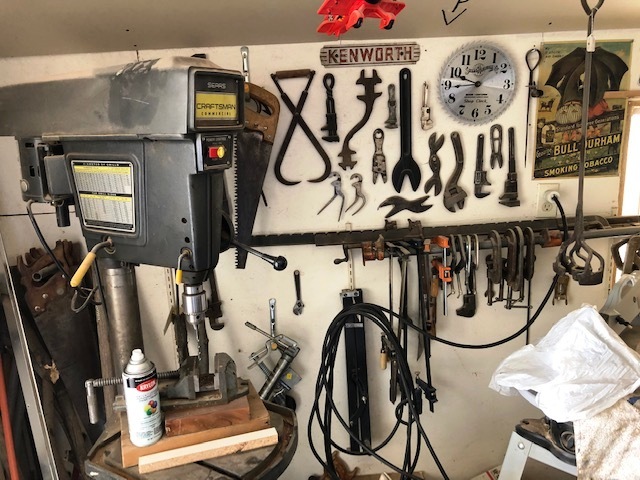 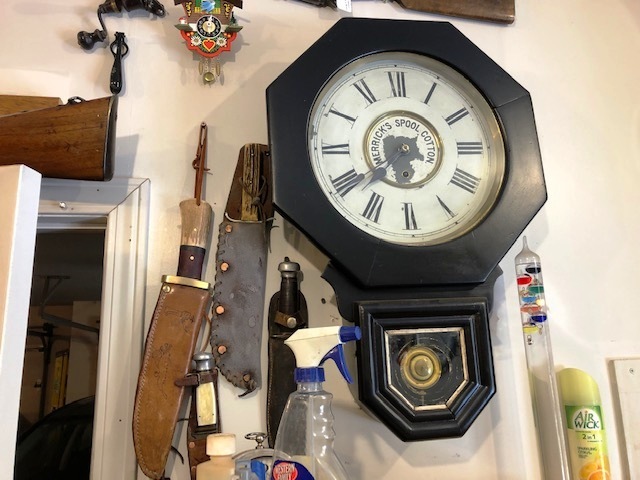 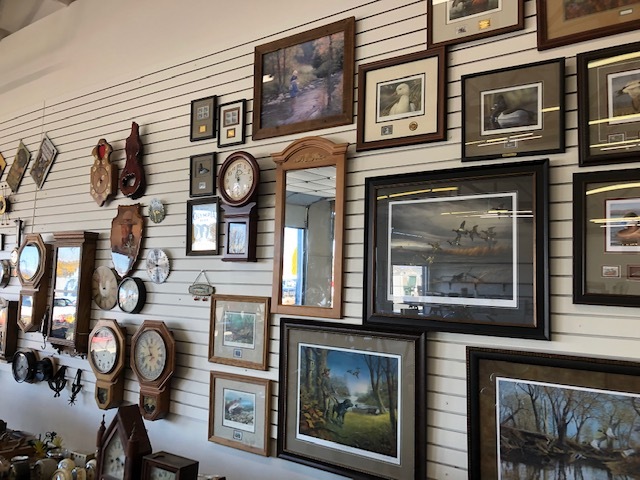 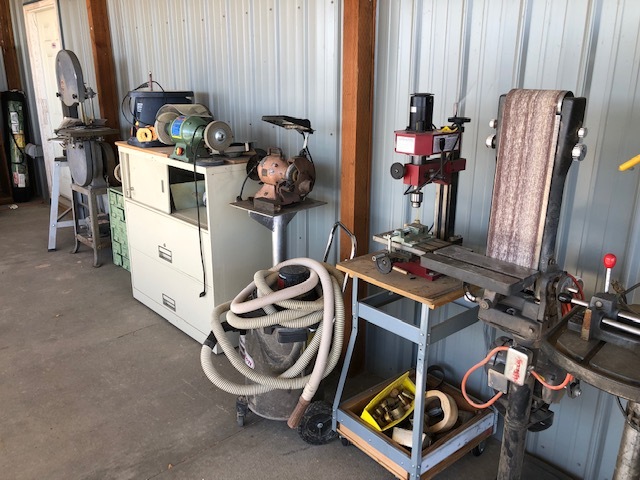 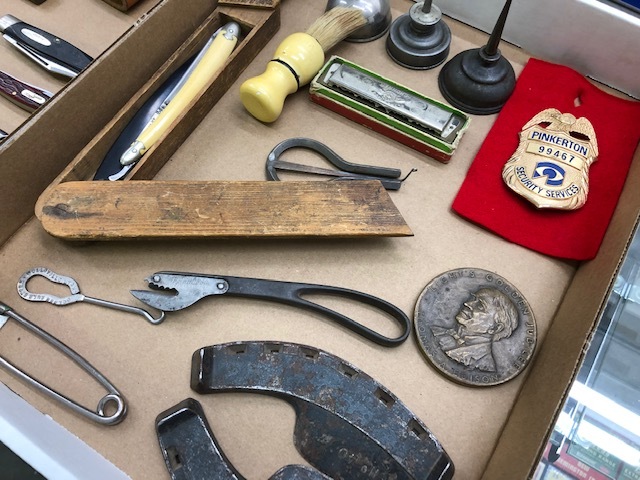 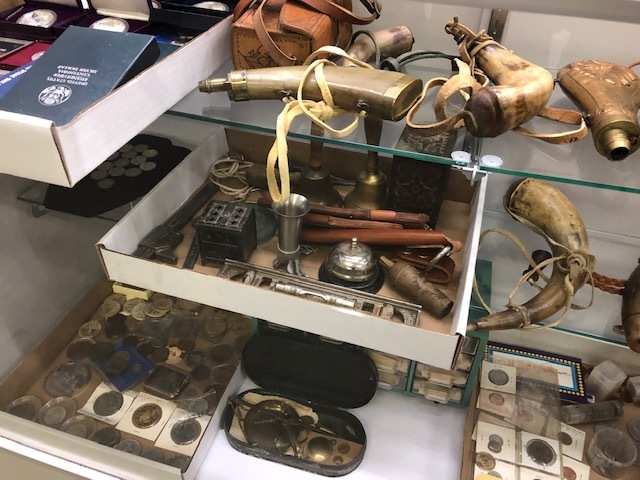 **POCKET WATCH COLLECTION** TOOLS: Lathe, Craftsman Commercial Drill Press, Scroll Saw, Belt Sander, Scaffolding, Snap-on, Snap-on Tool Chest, Cement Mixer, Floor Dryers, Parking Lot Striping Equipment, Honda Rototiller & Much More Coming In! 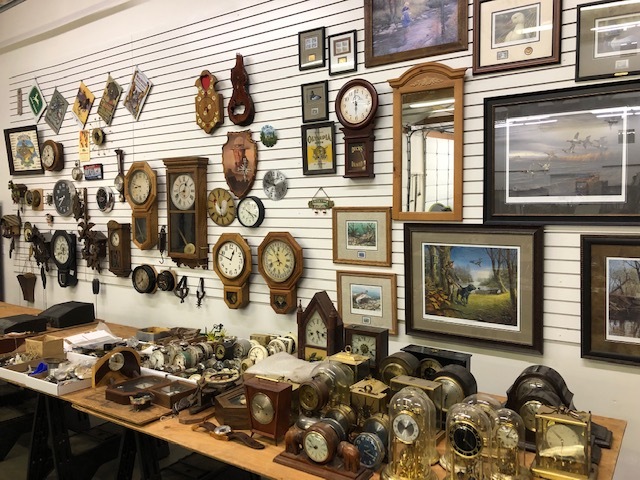 Call Now to Consign Your Quality Items! 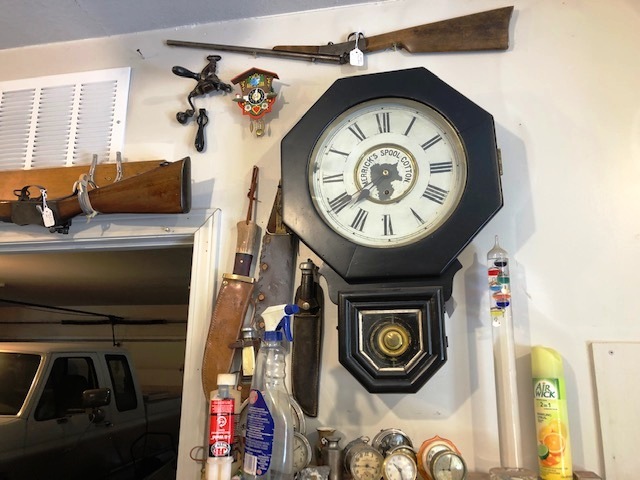 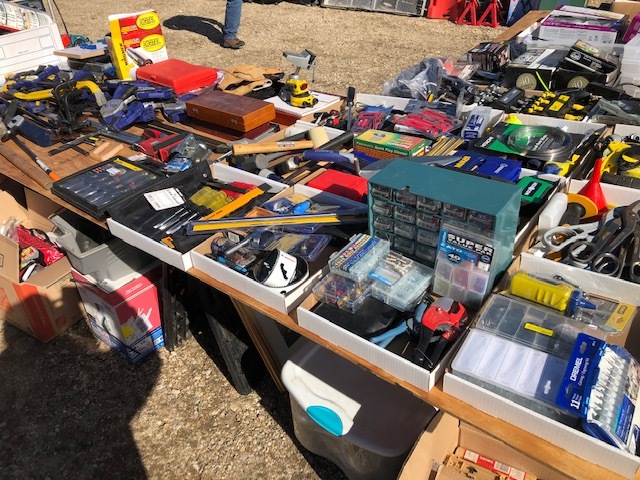 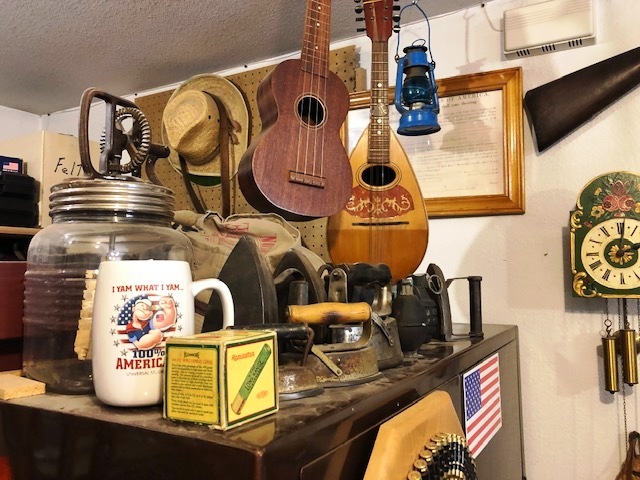 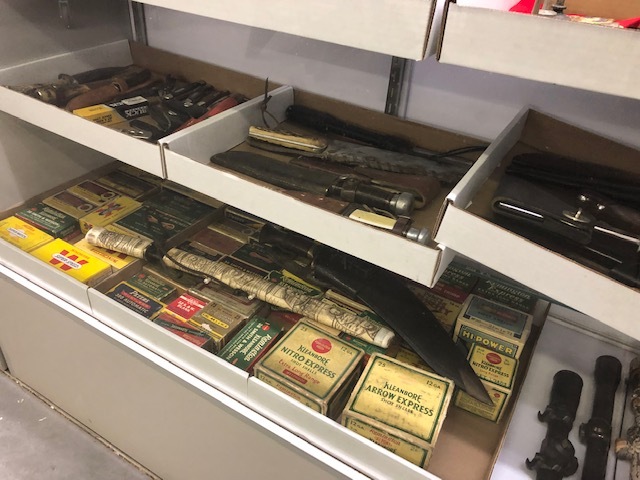 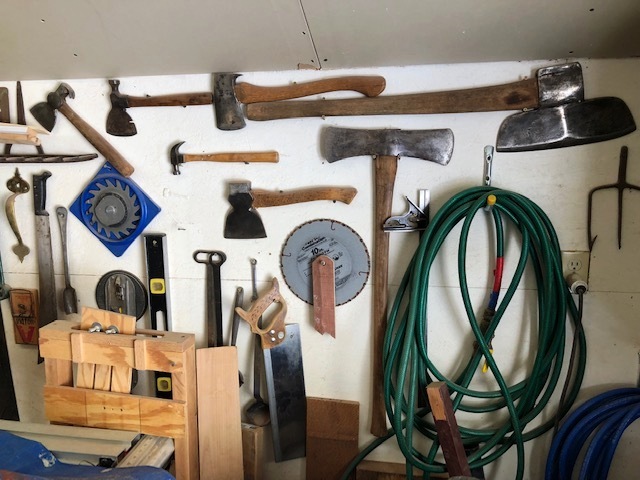 Autos, Guns, Tools.